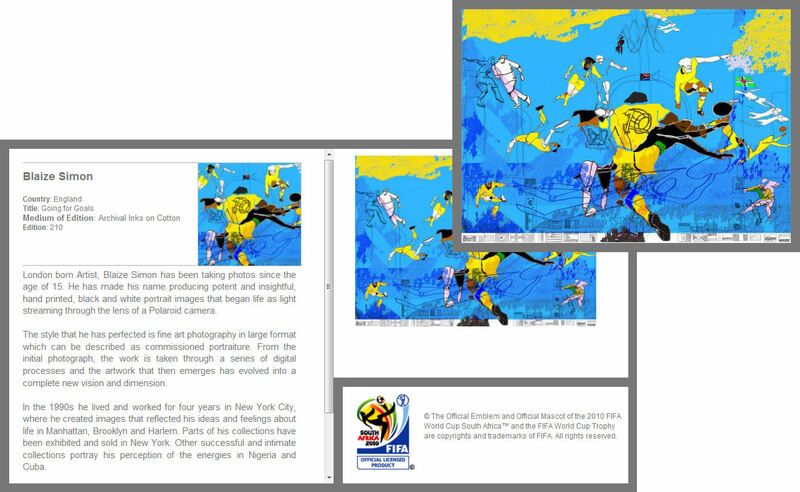 and download a high resolution image for press coverage. 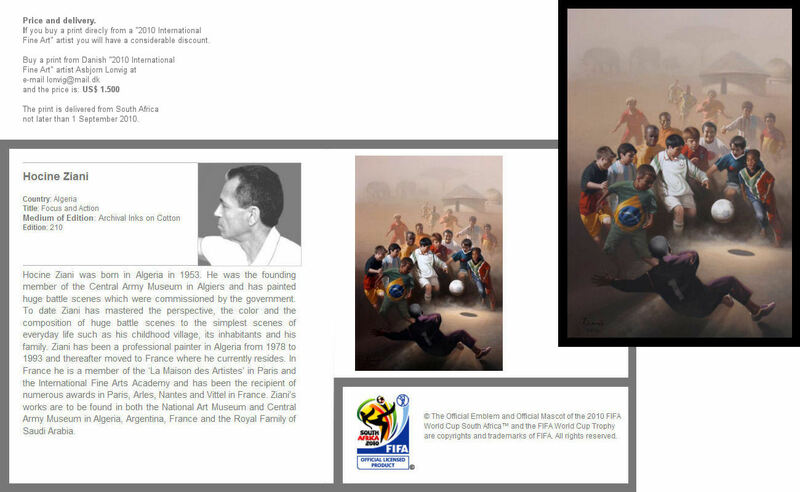 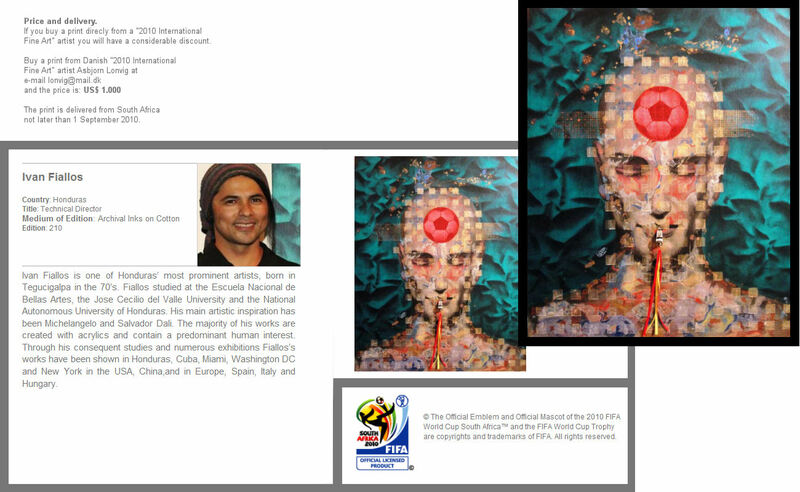 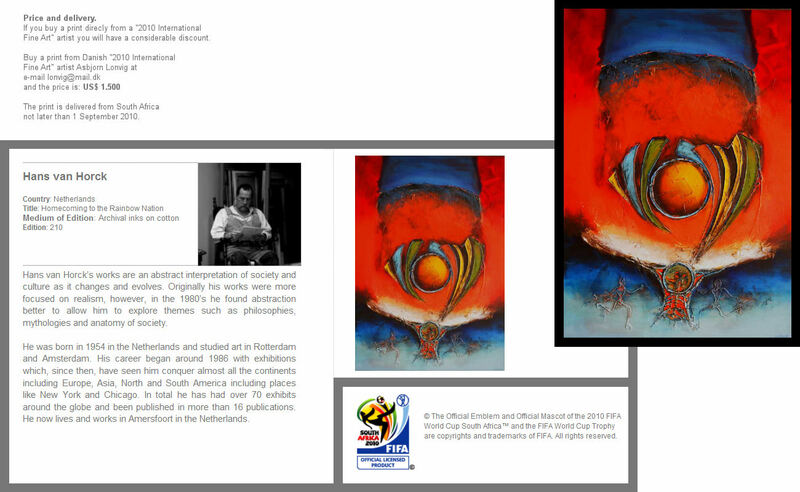 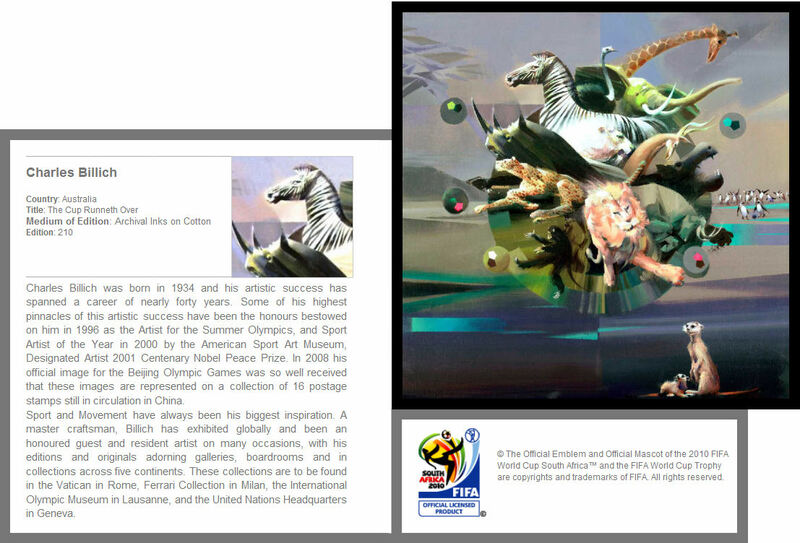 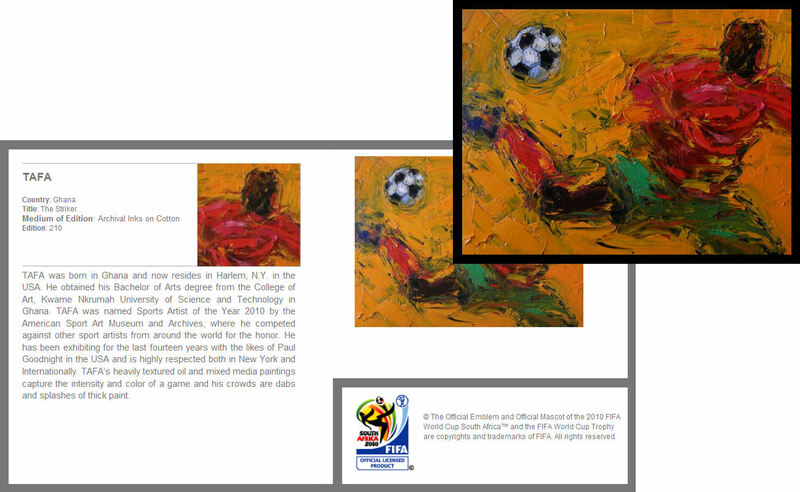 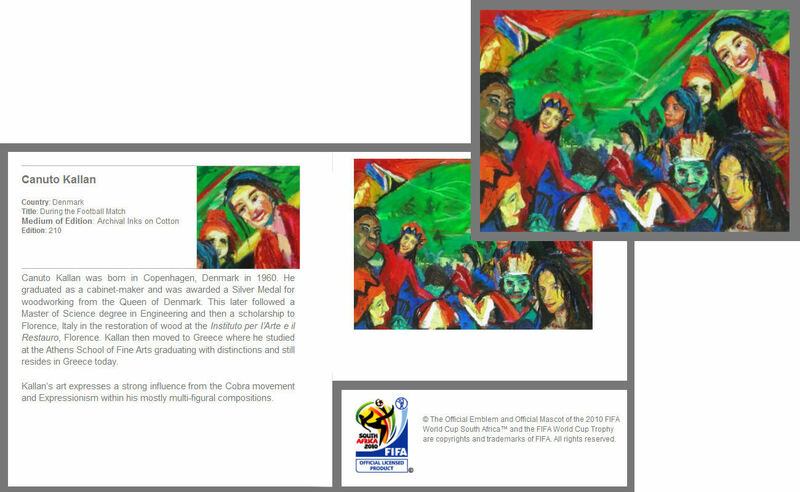 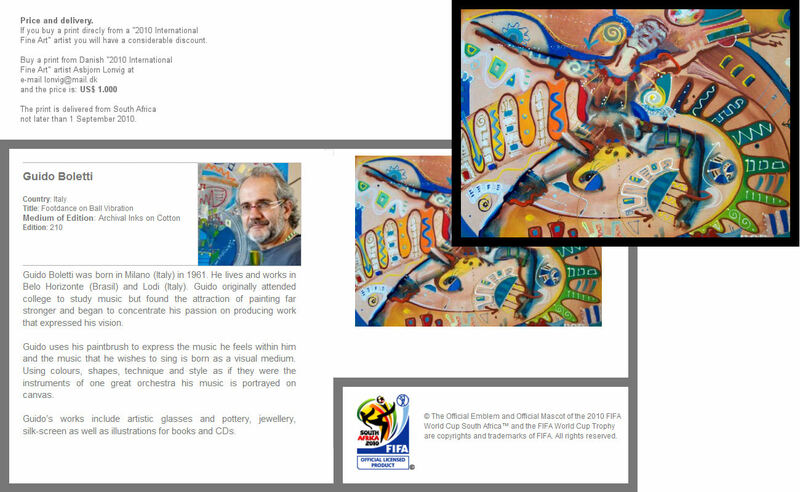 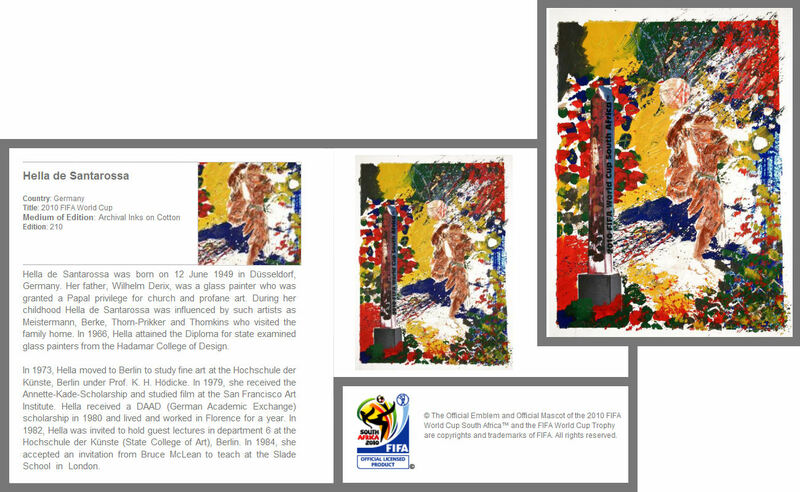 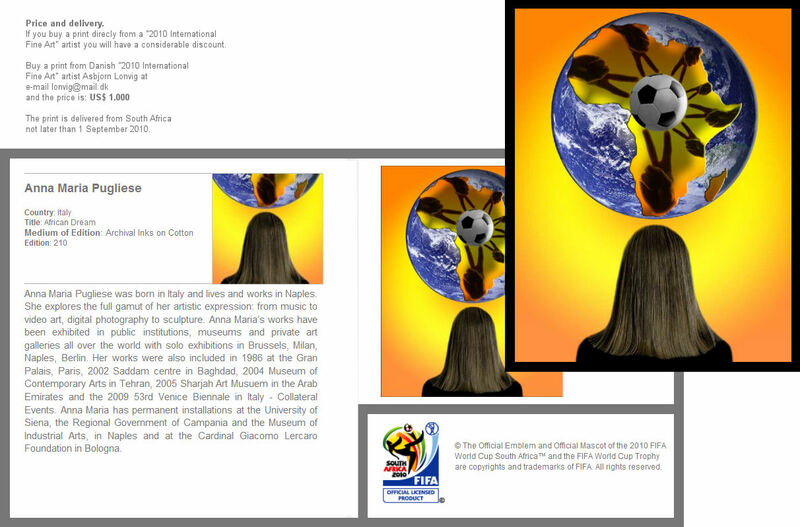 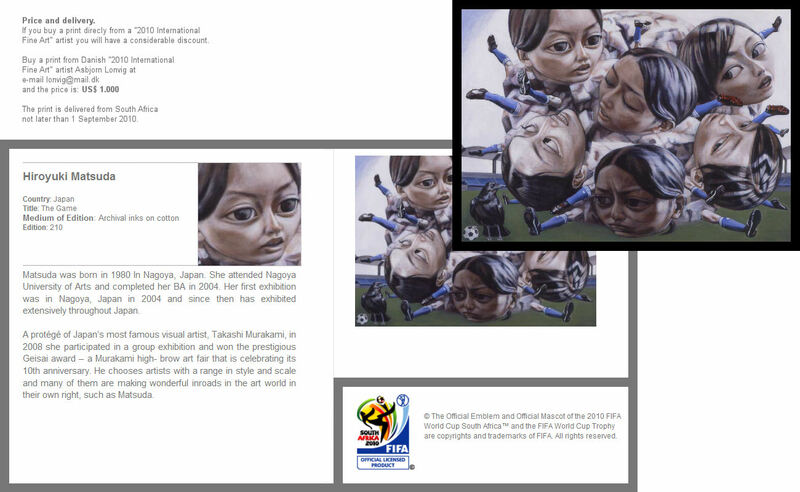 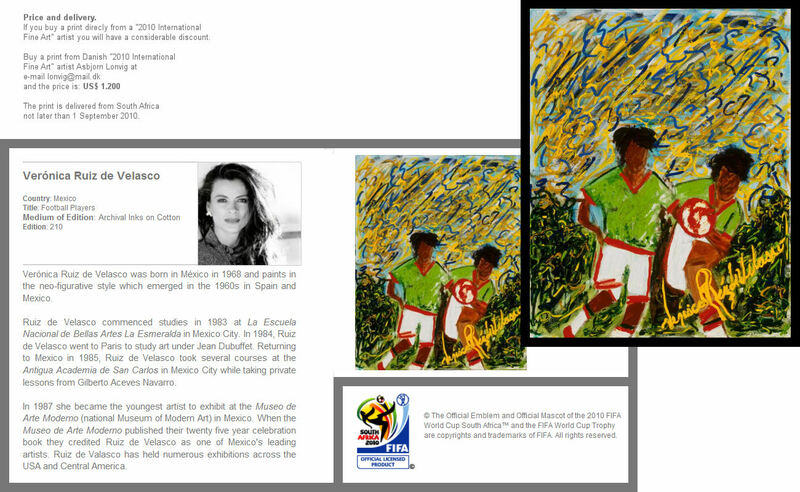 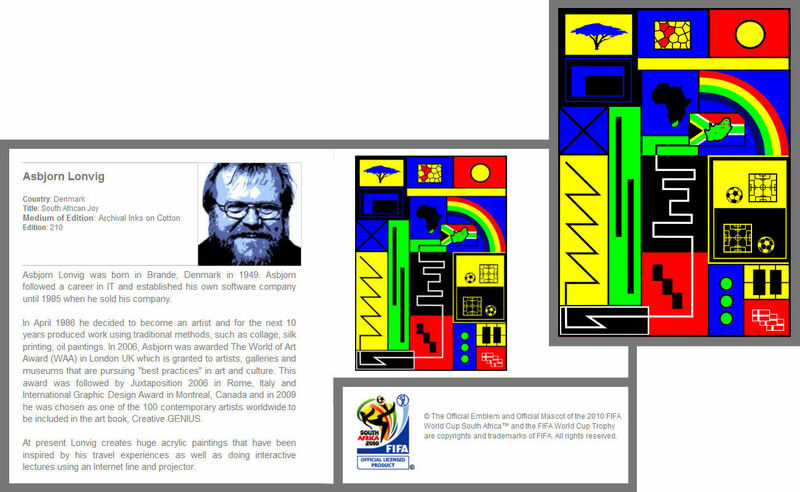 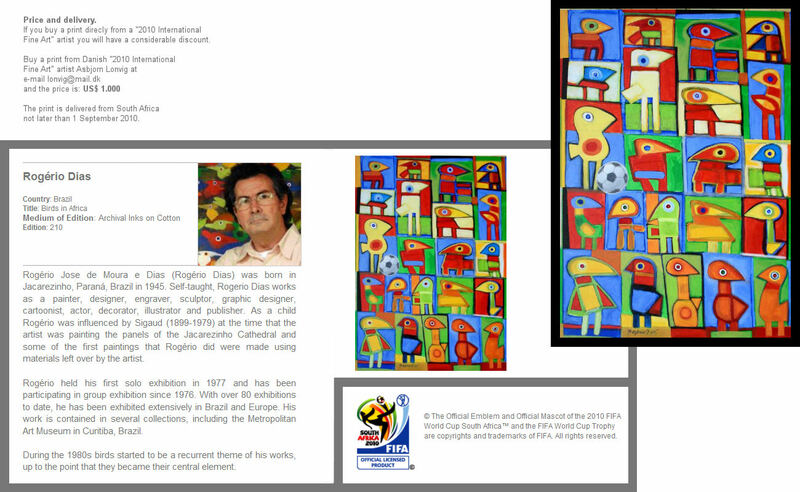 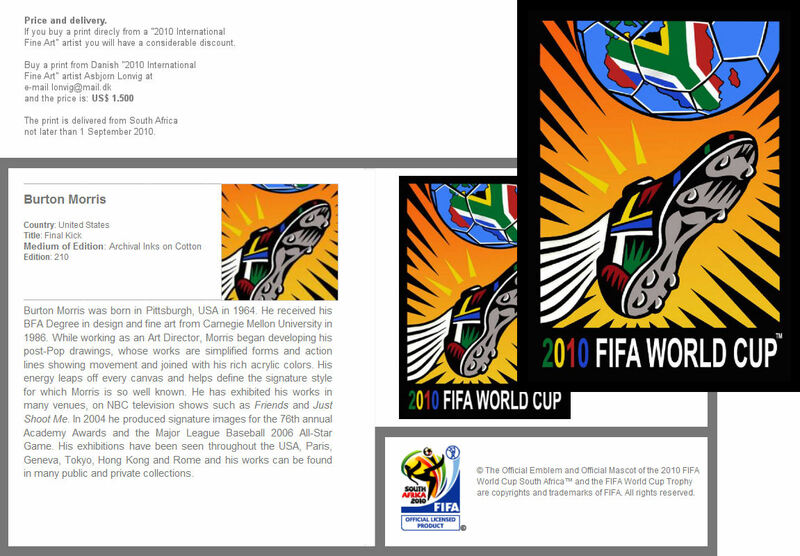 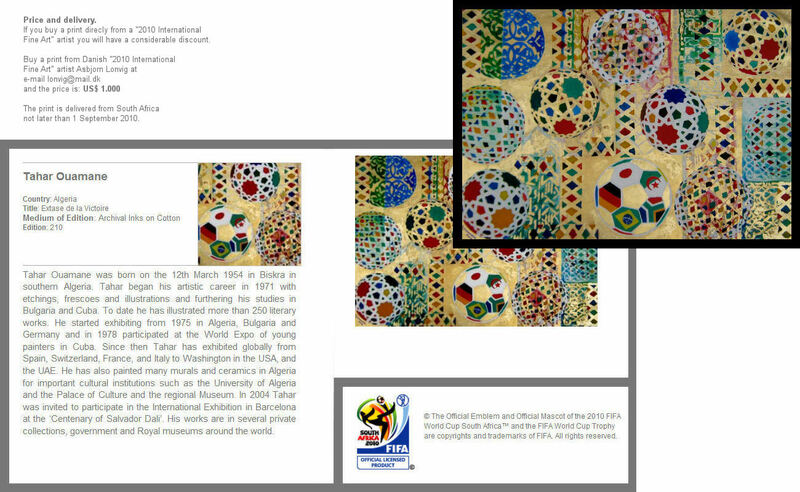 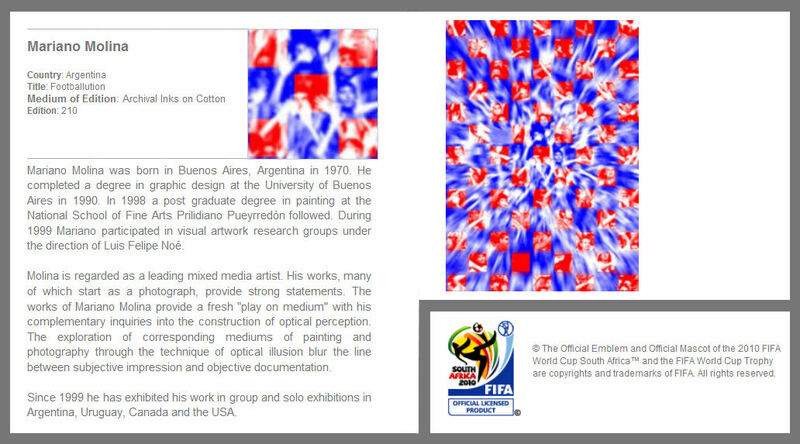 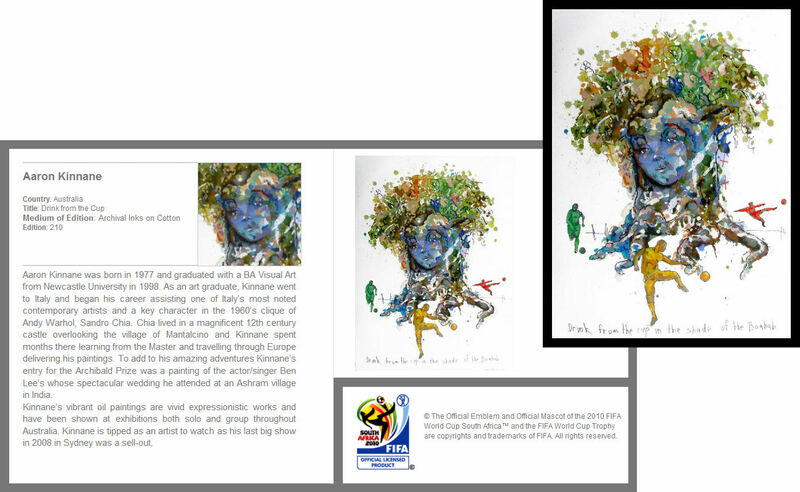 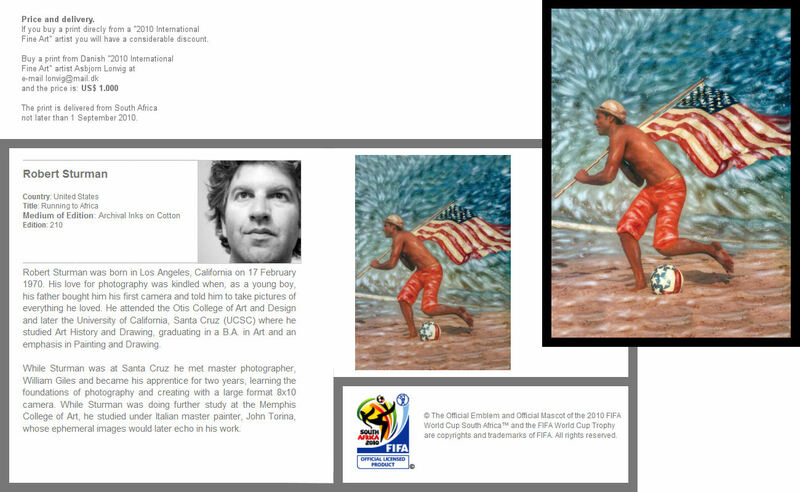 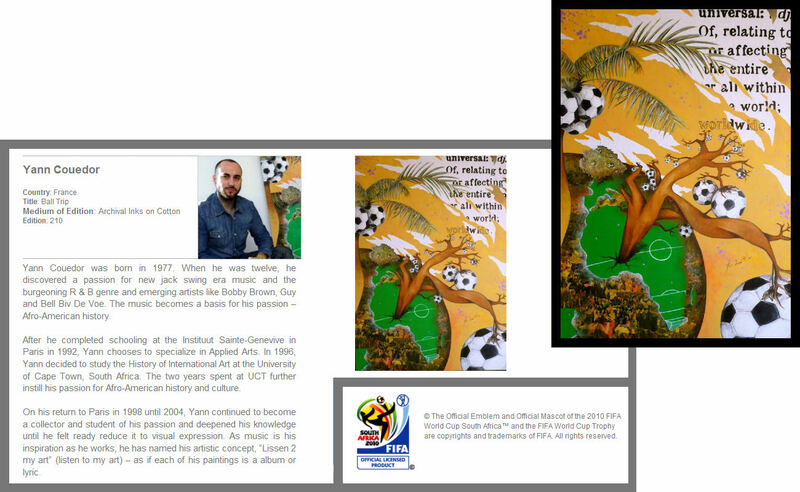 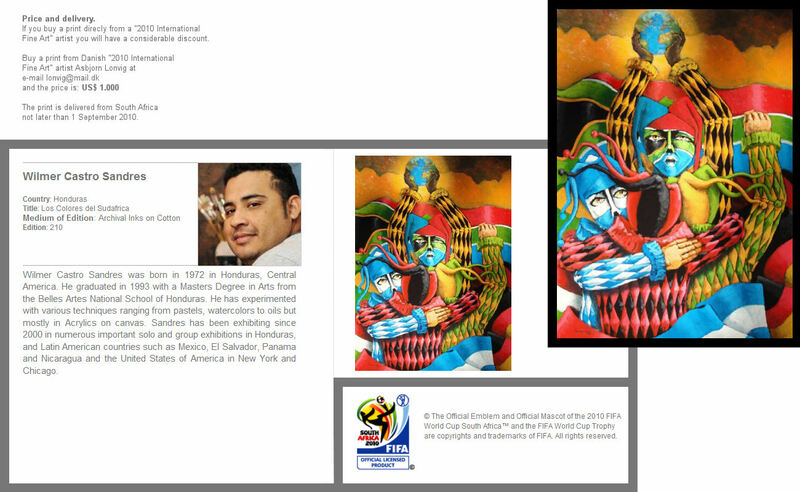 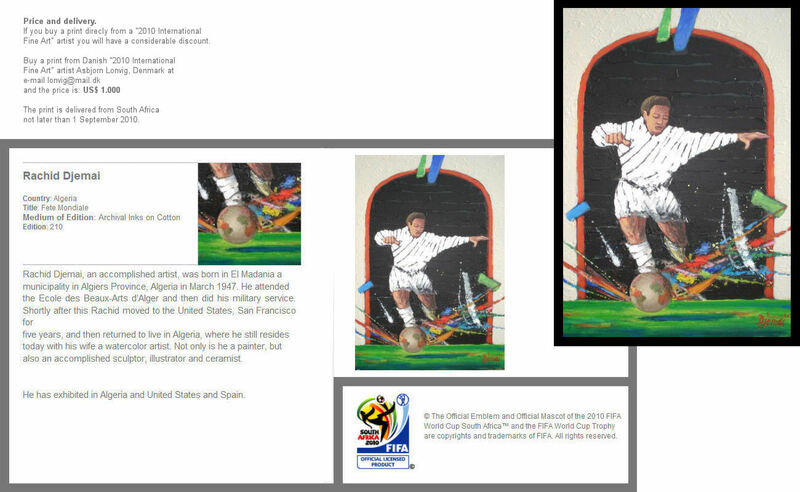 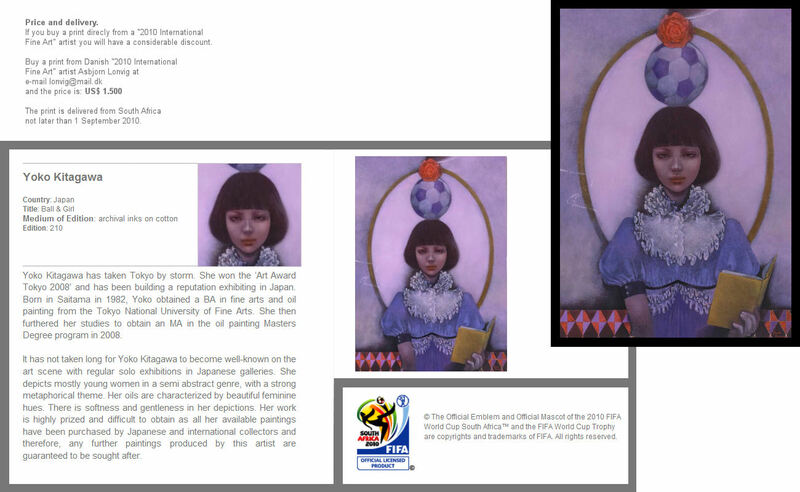 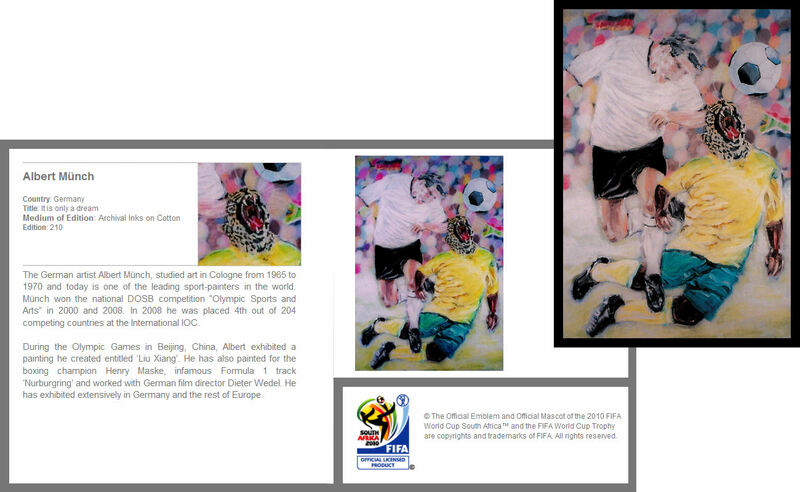 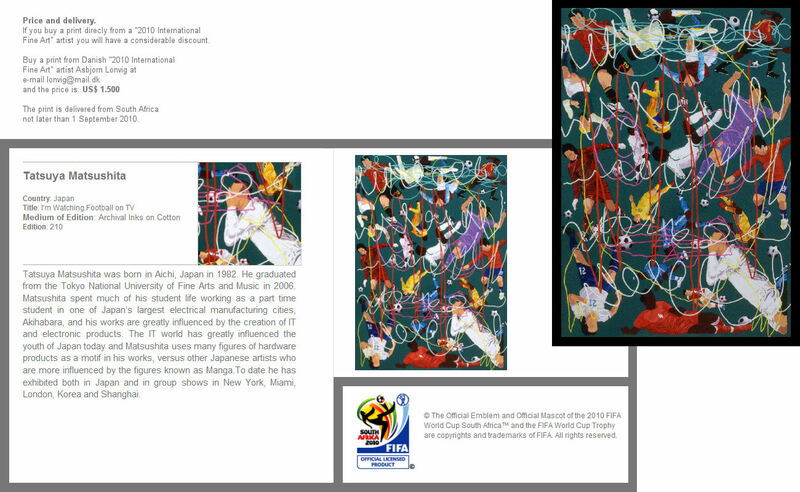 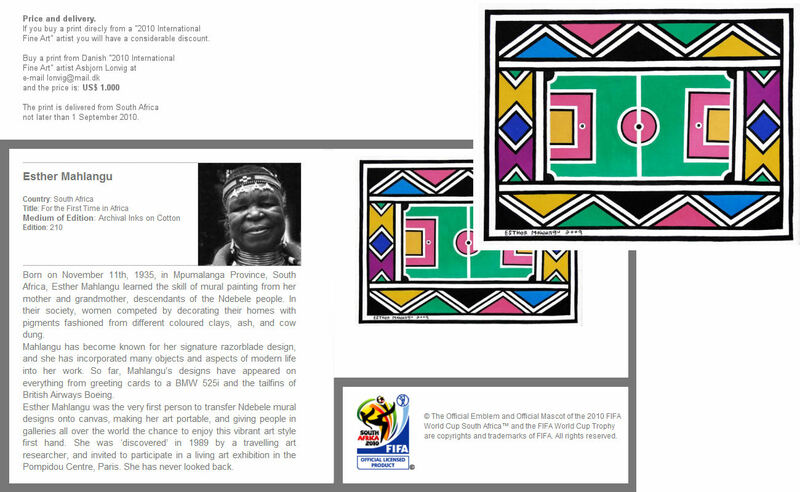 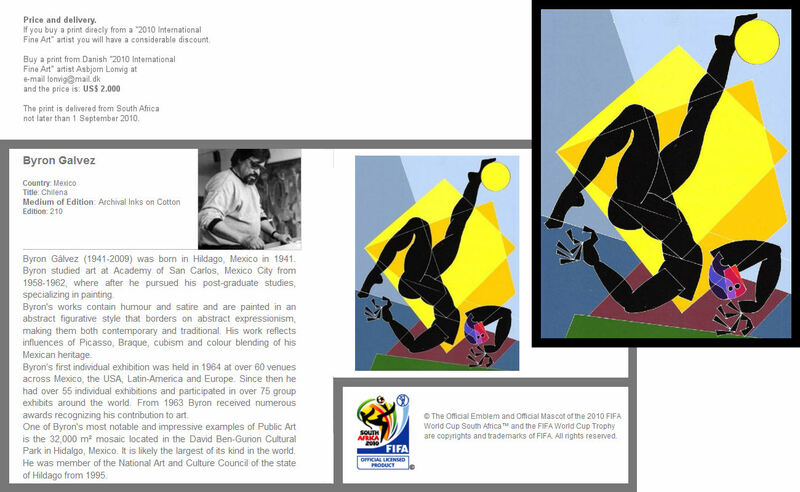 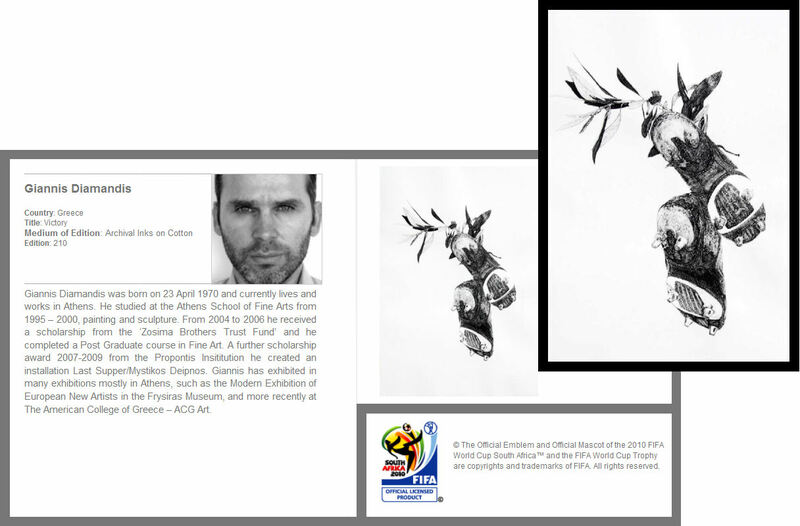 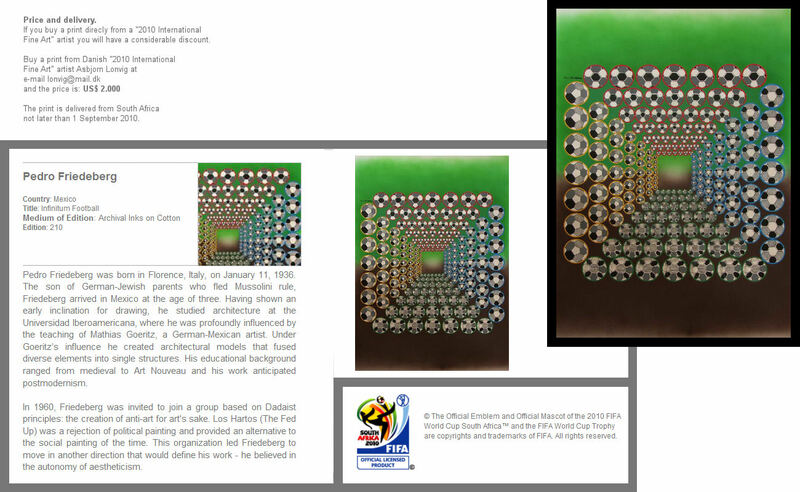 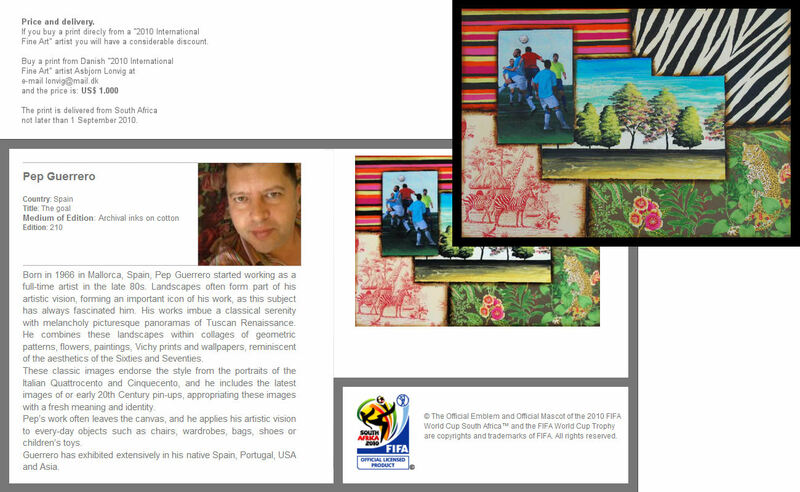 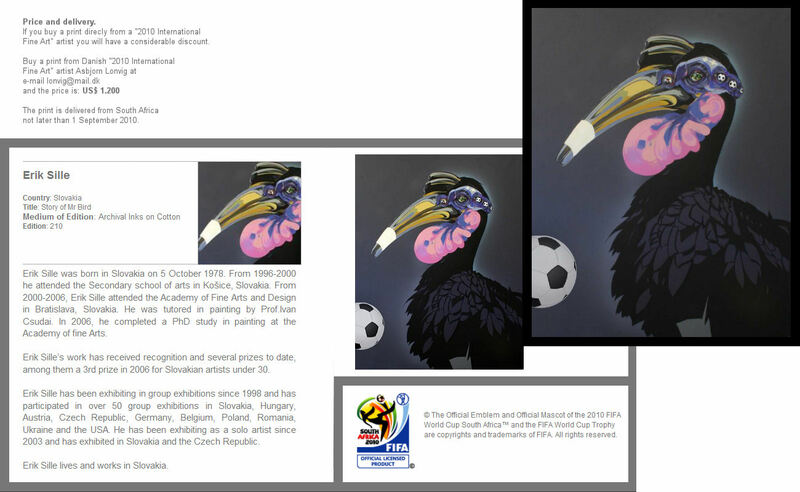 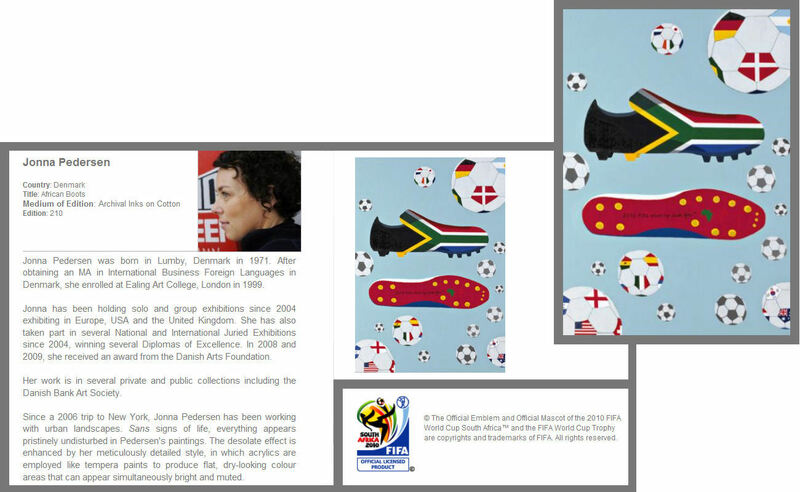 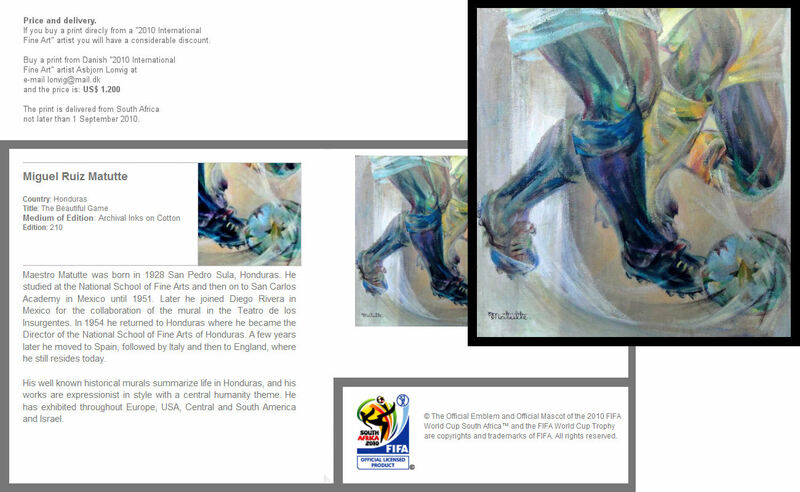 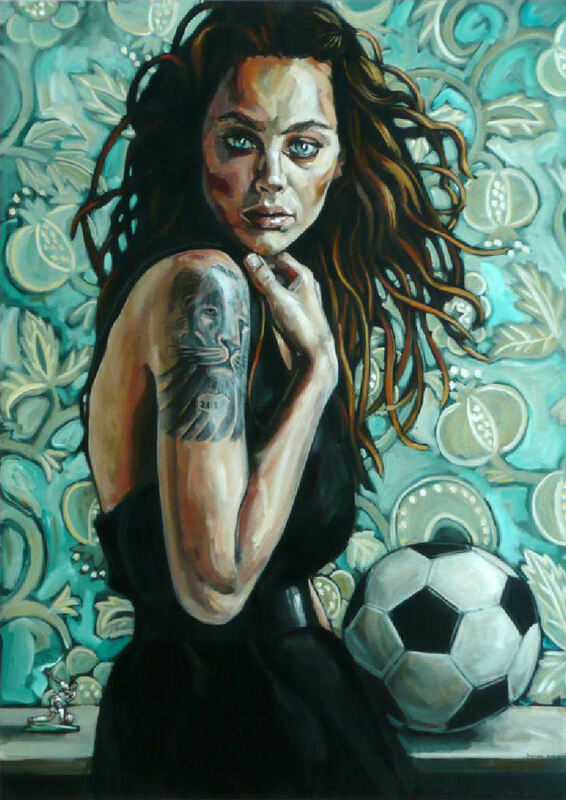 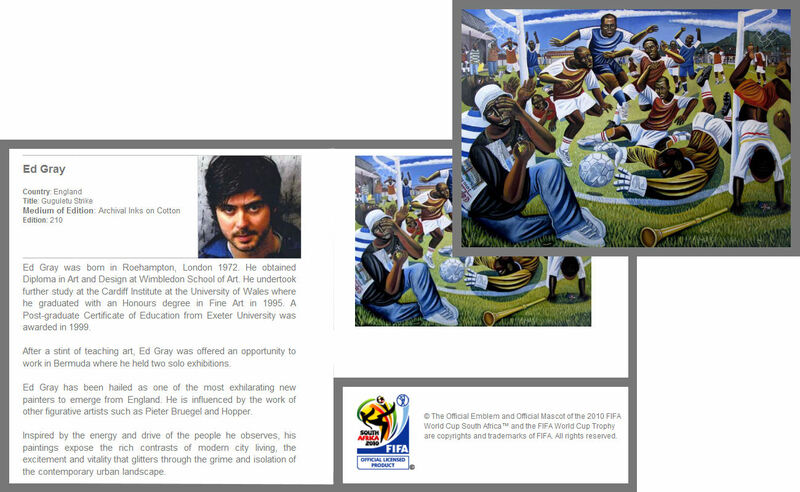 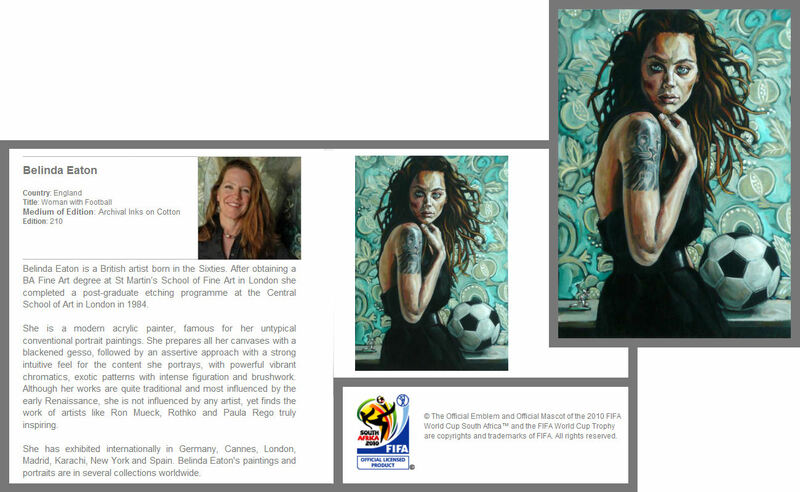 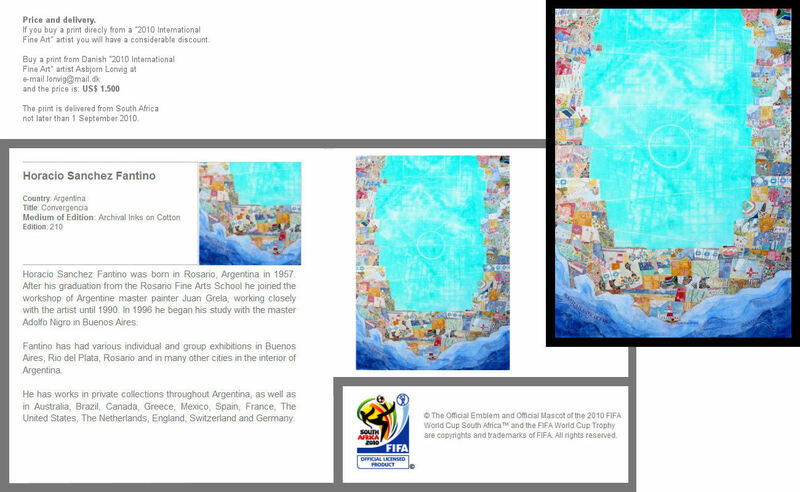 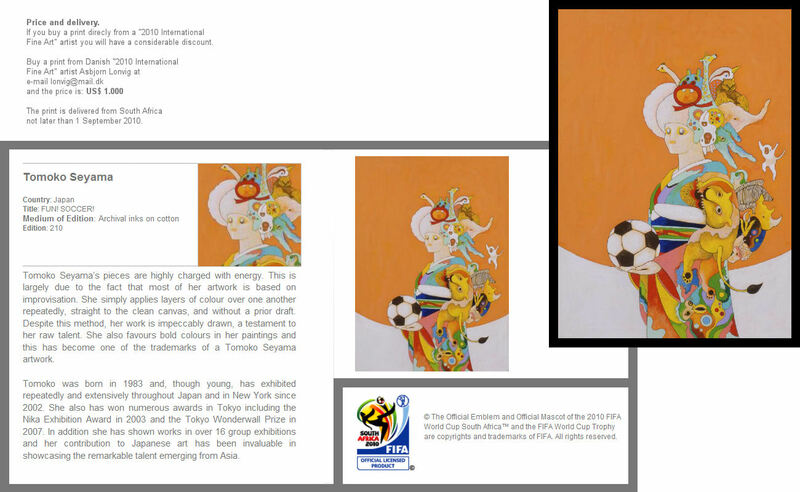 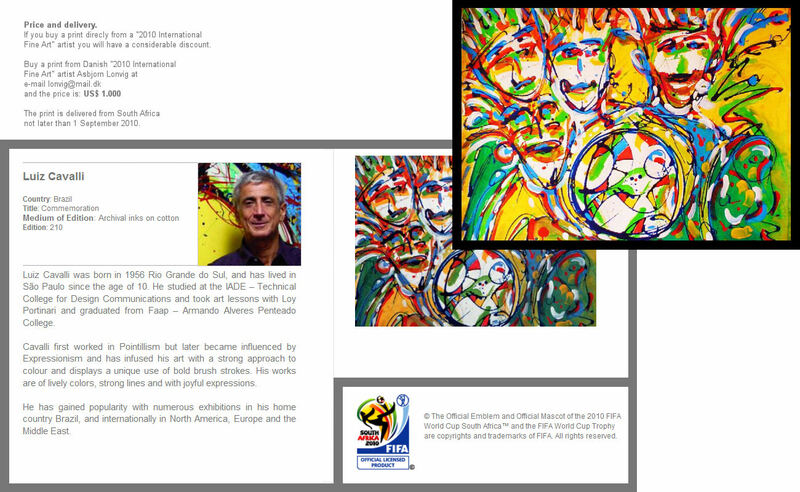 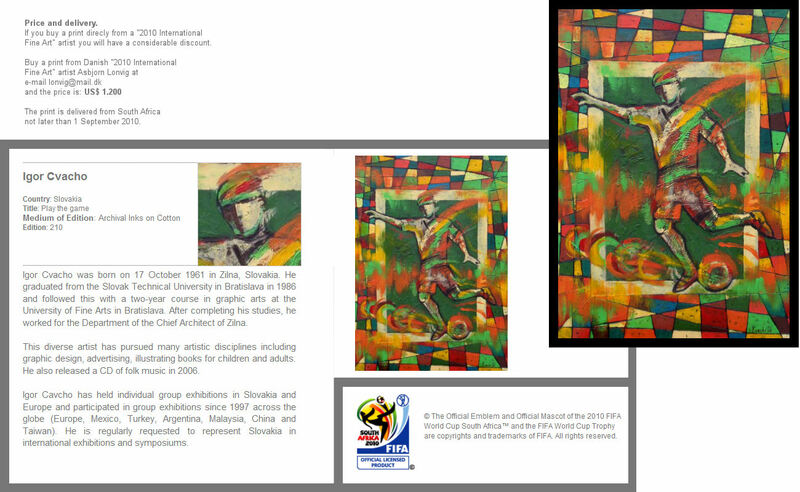 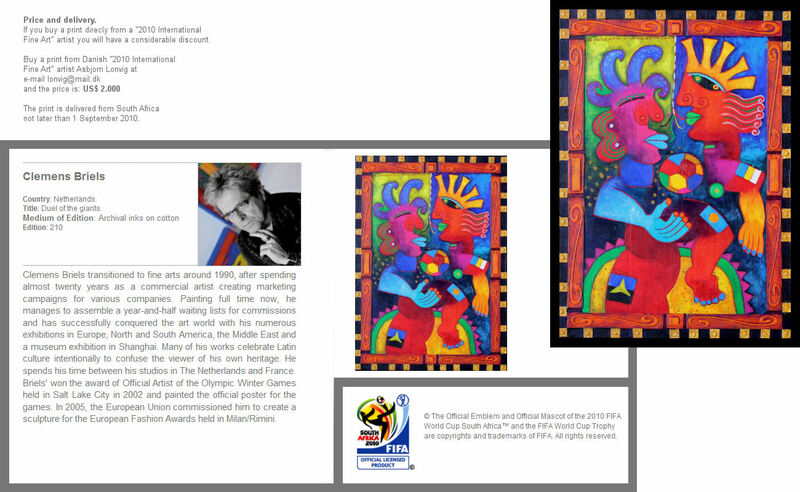 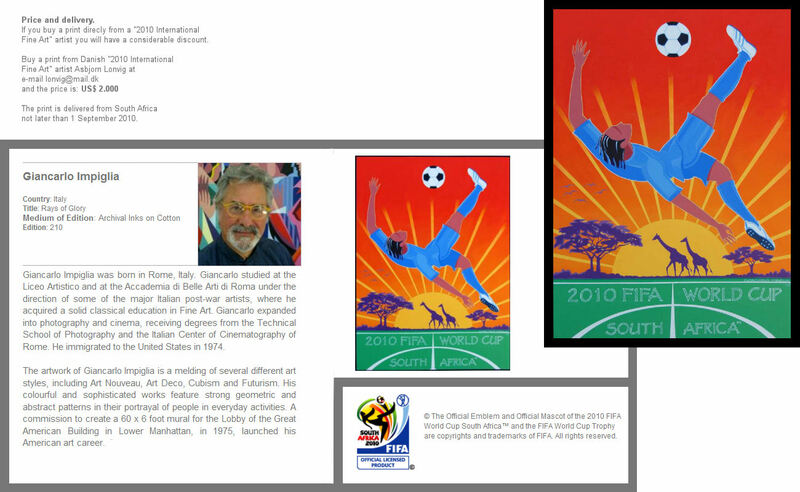 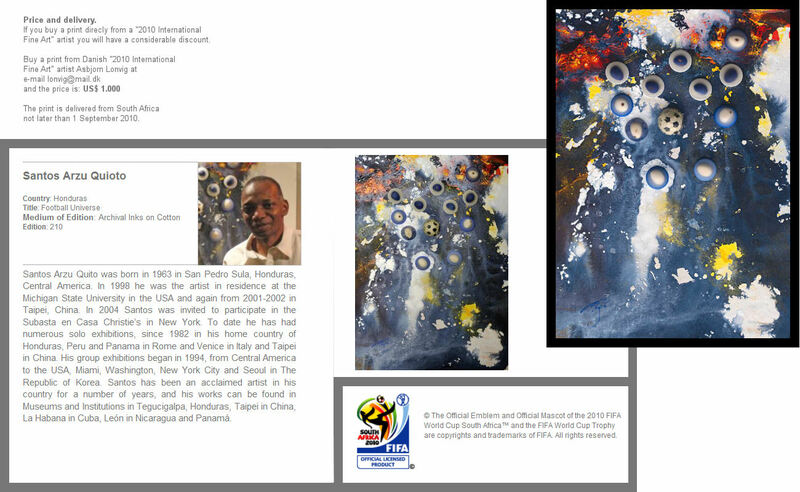 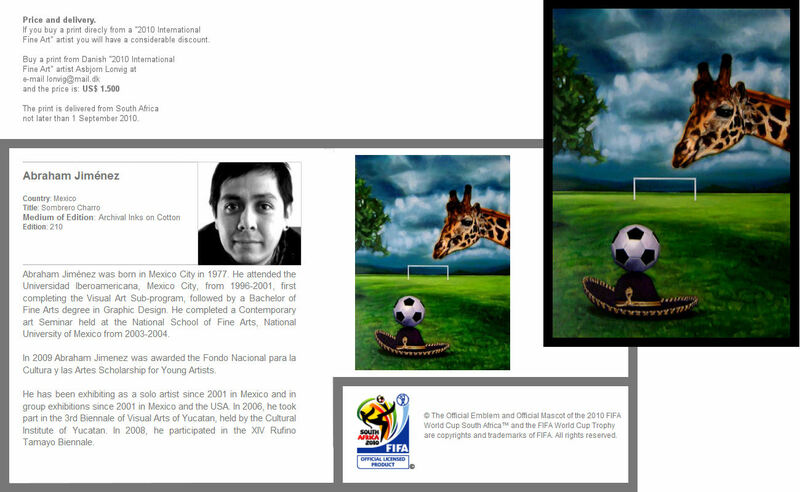 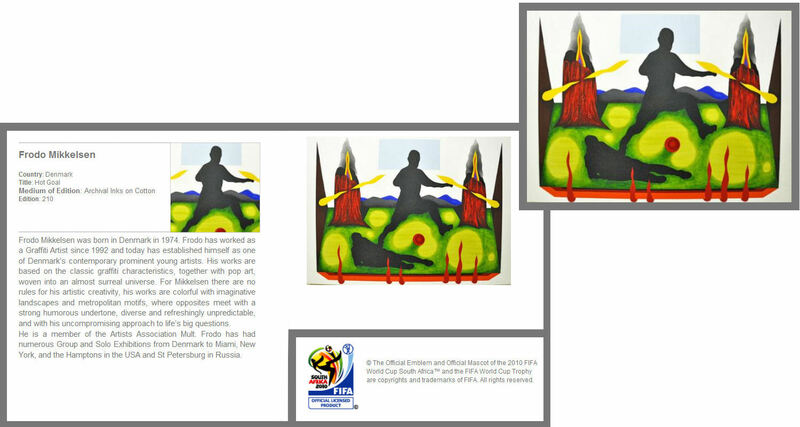 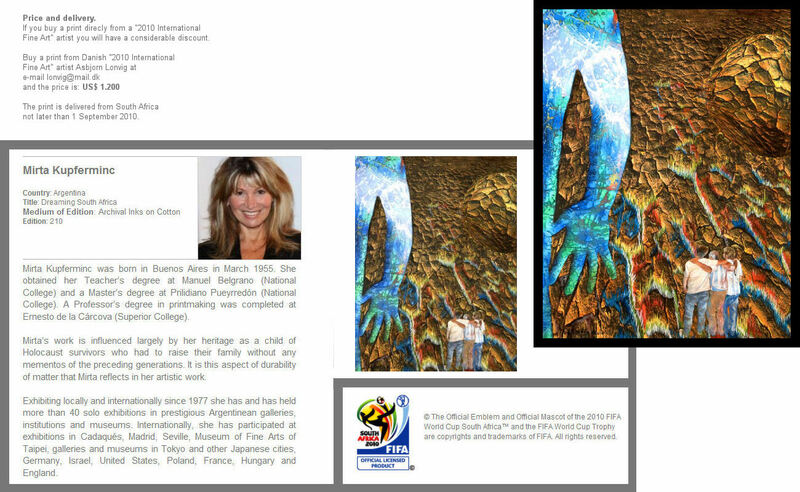 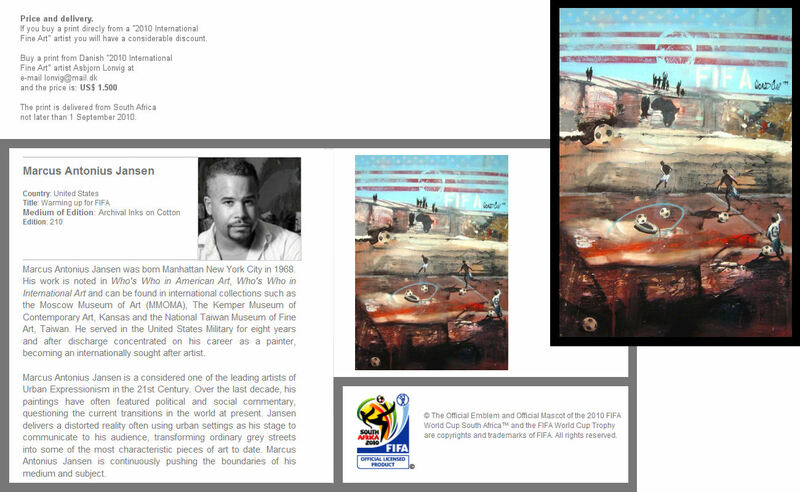 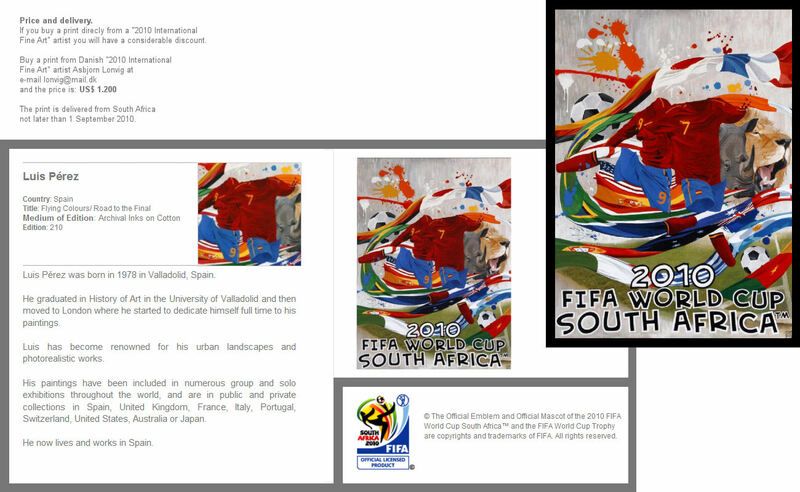 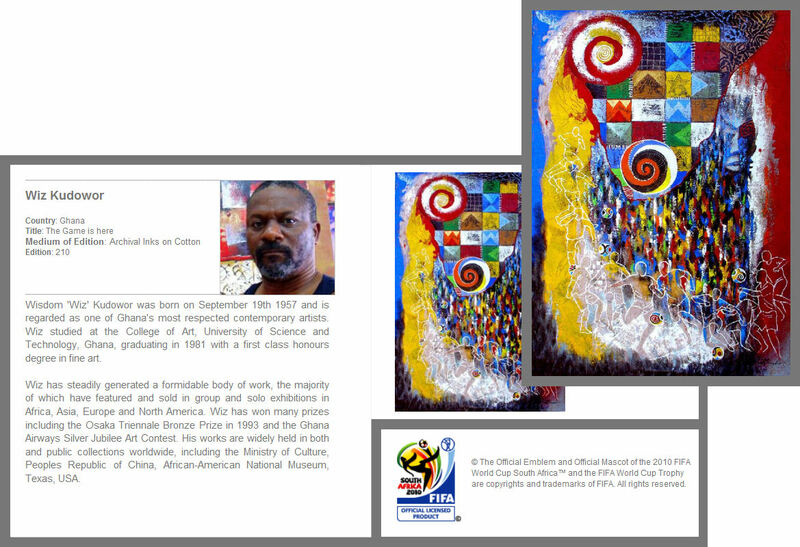 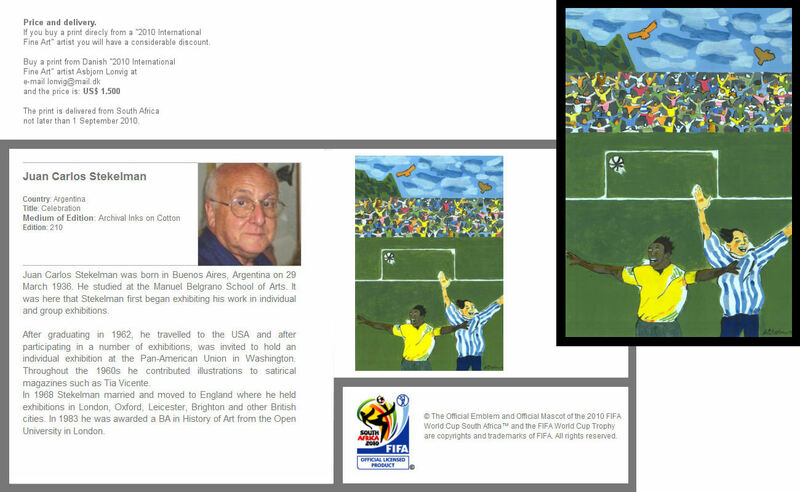 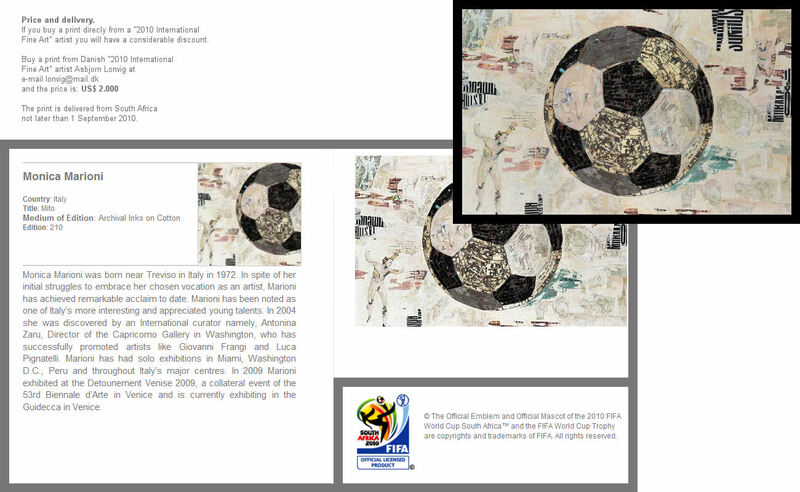 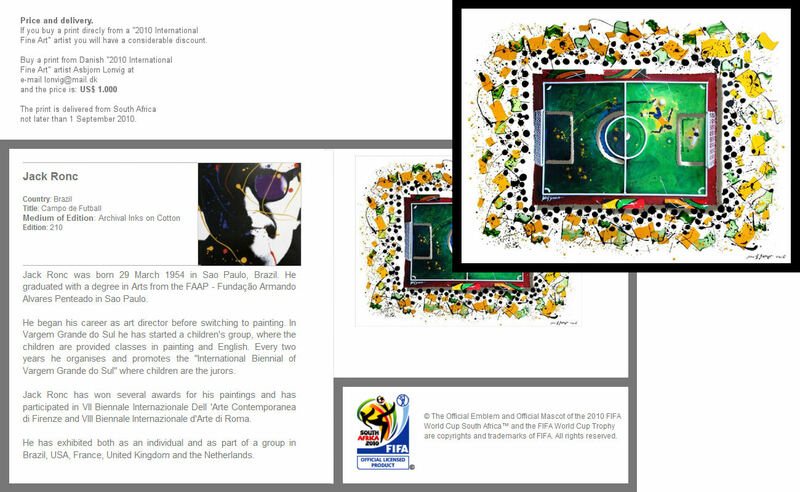 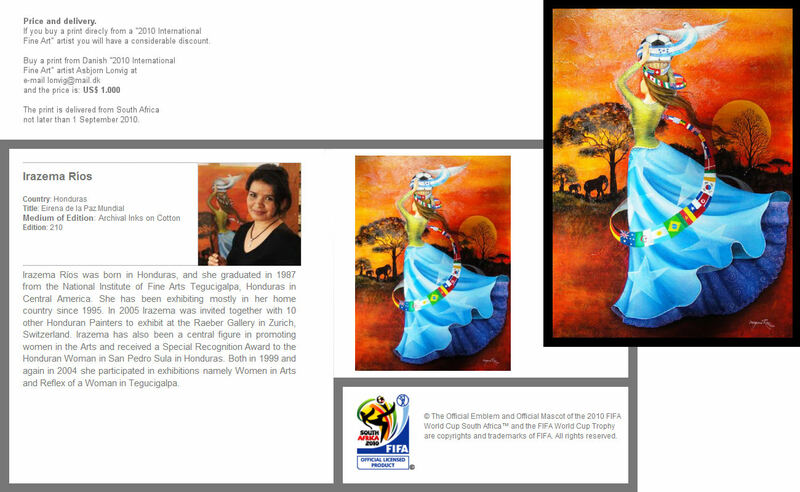 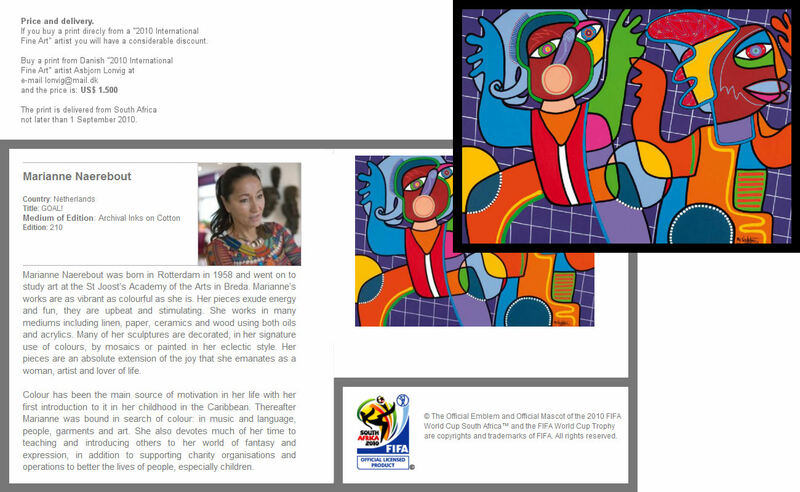 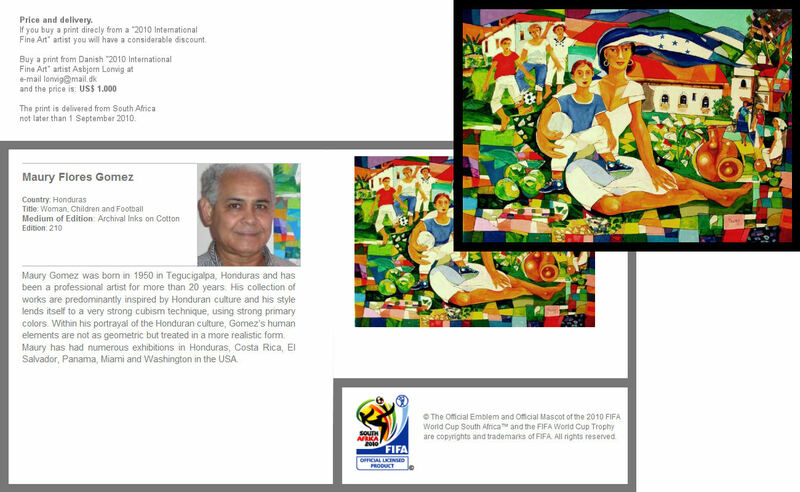 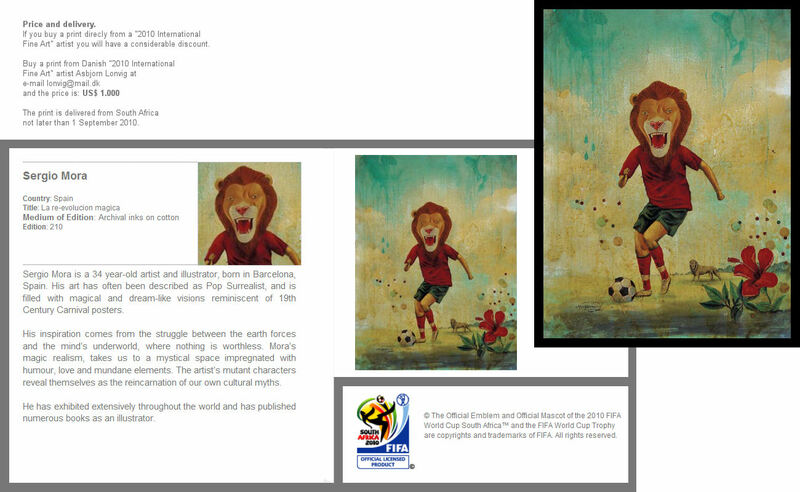 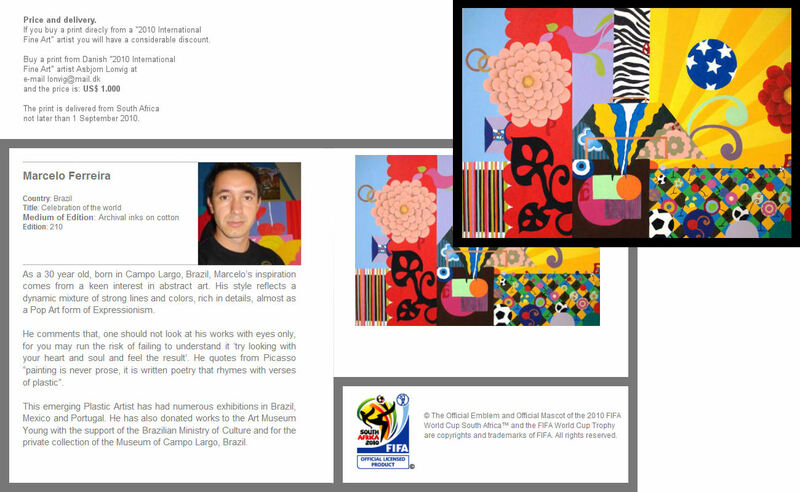 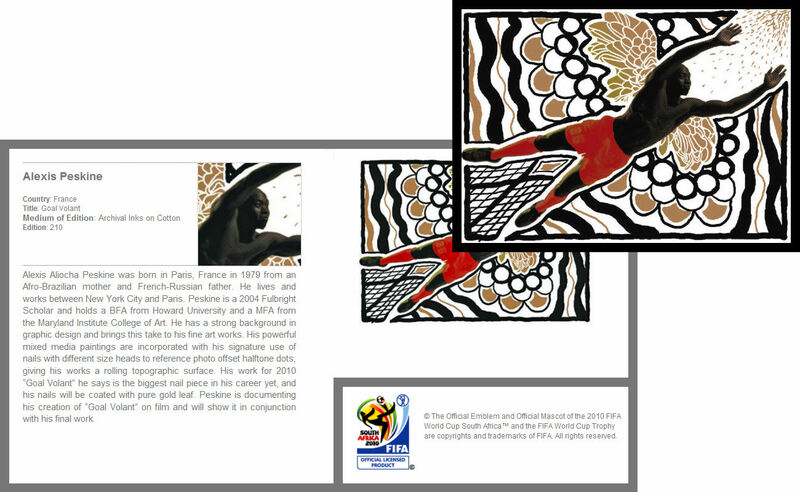 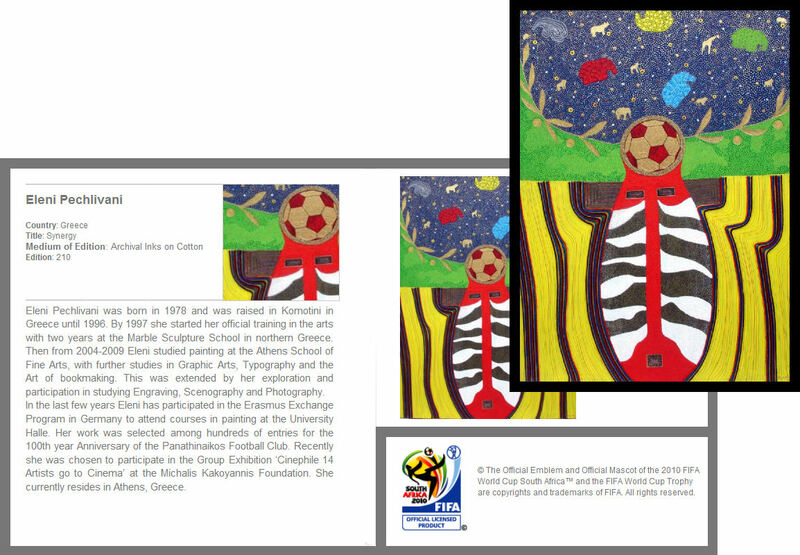 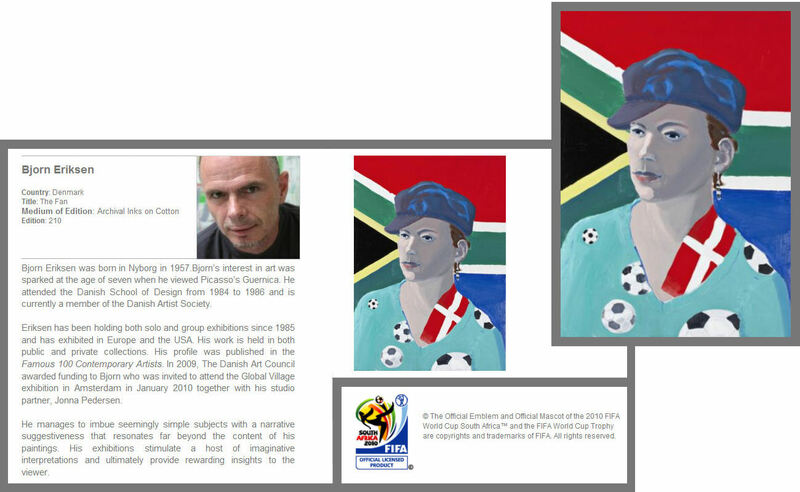 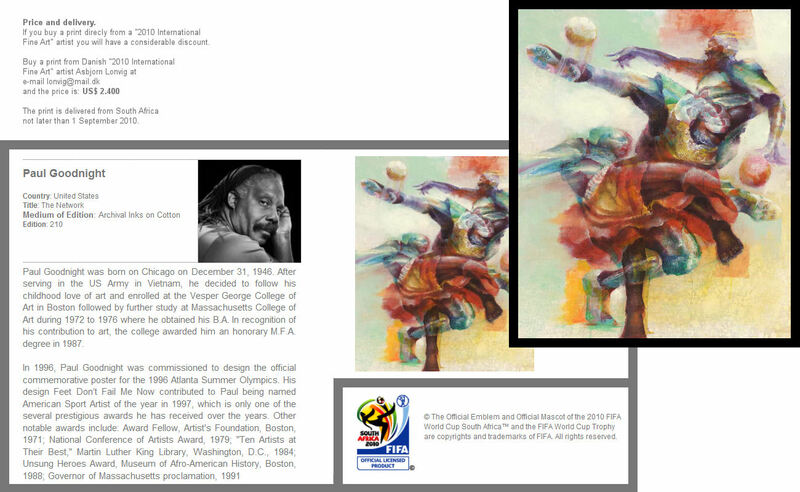 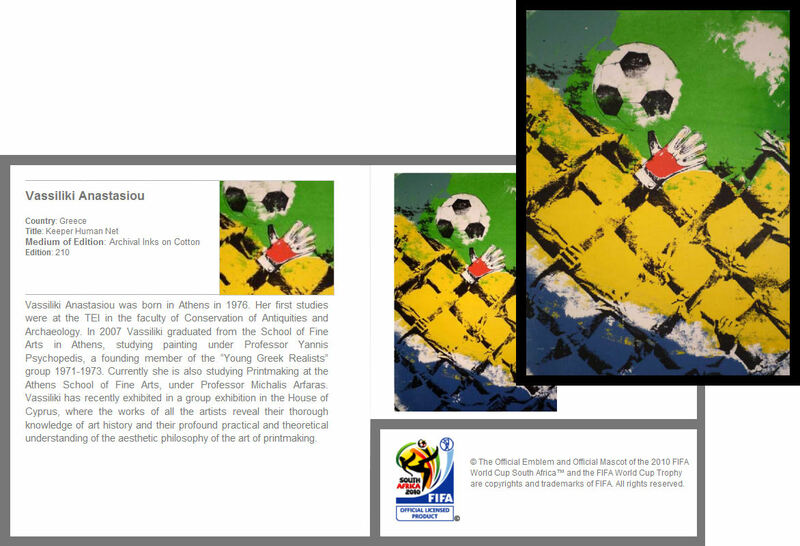 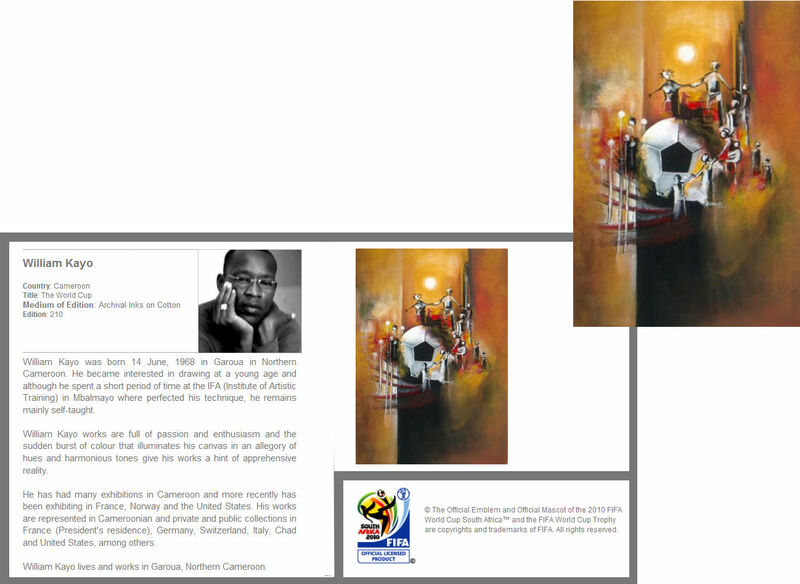 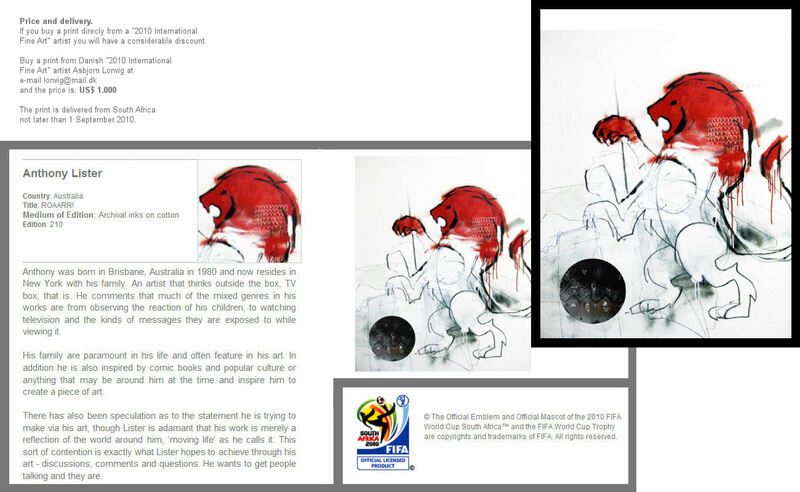 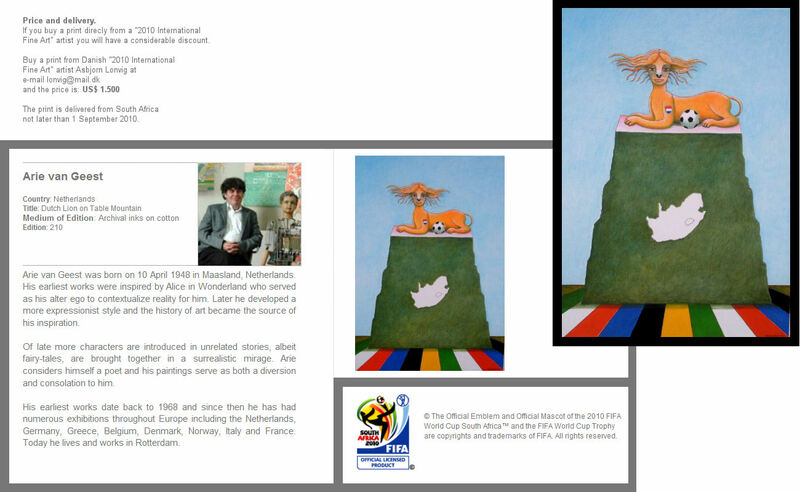 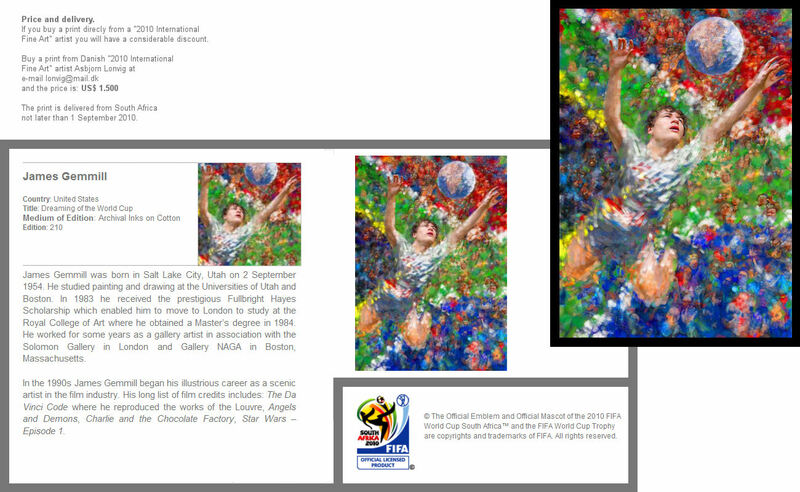 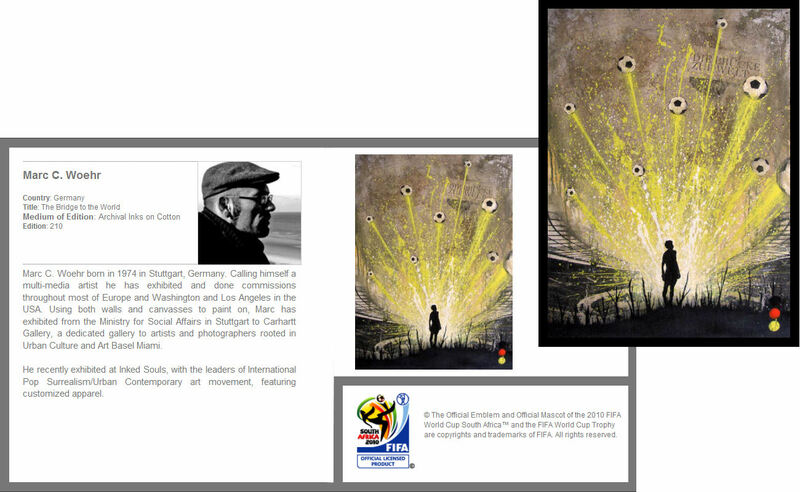 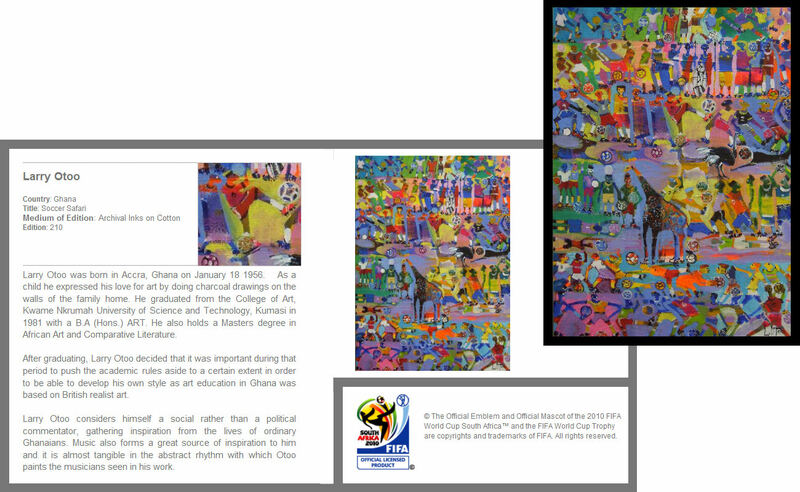 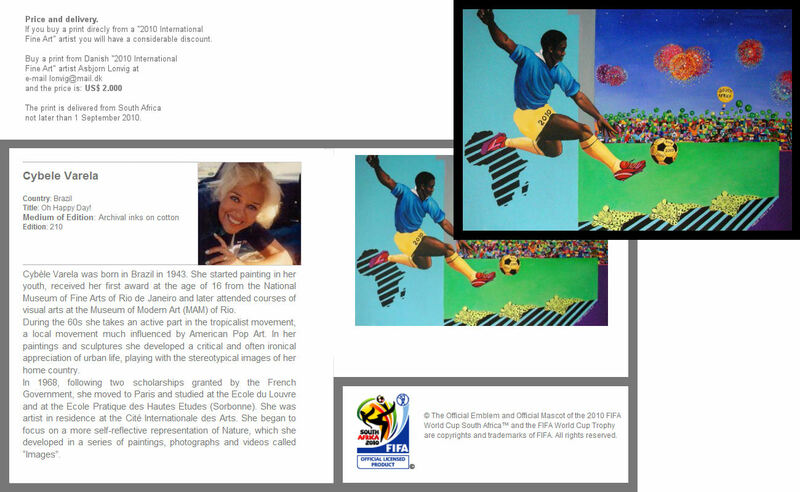 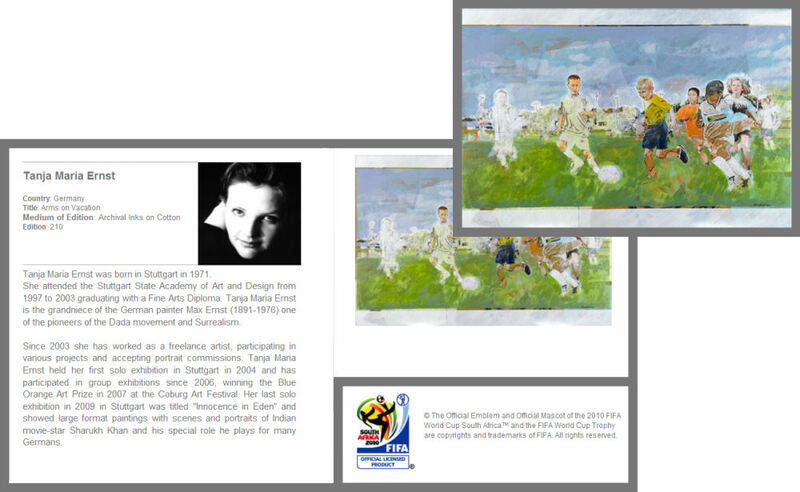 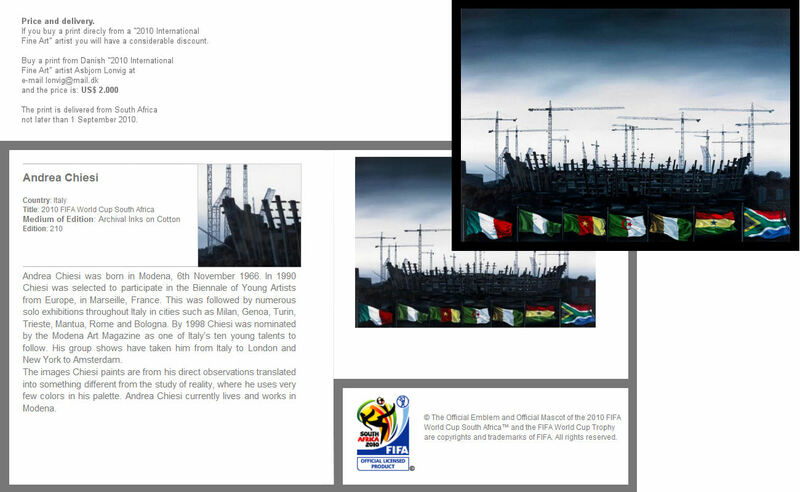 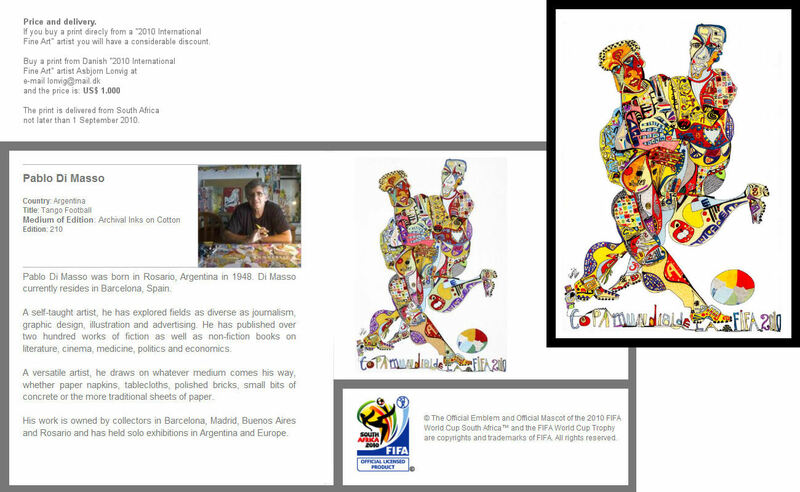 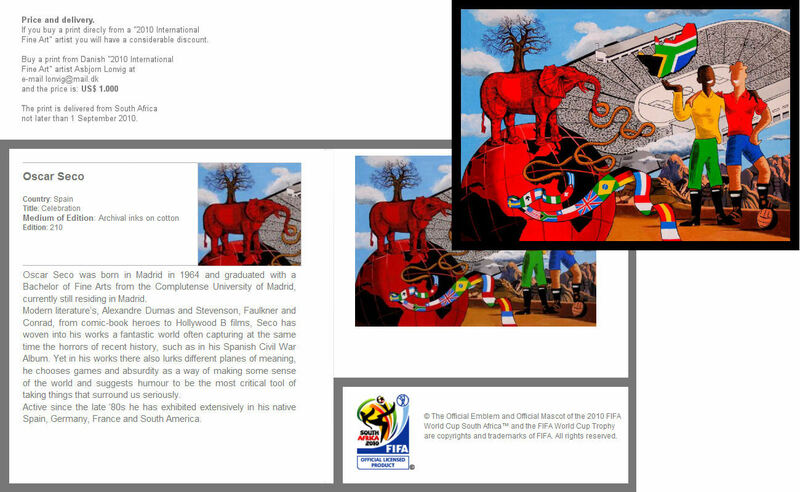 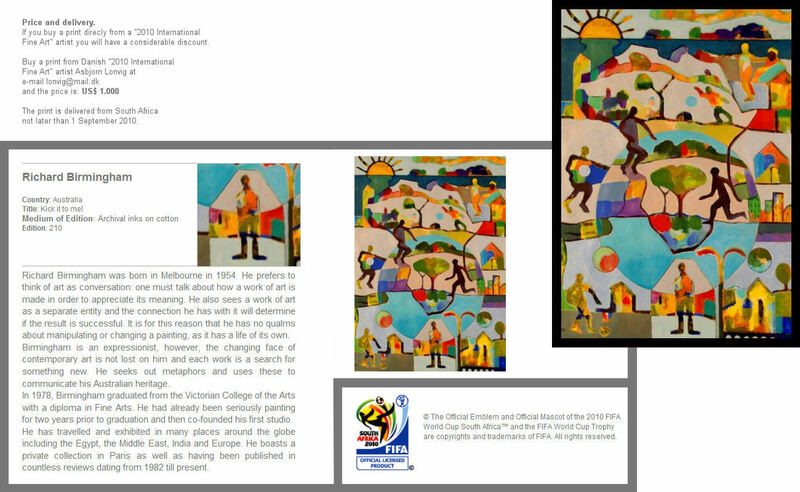 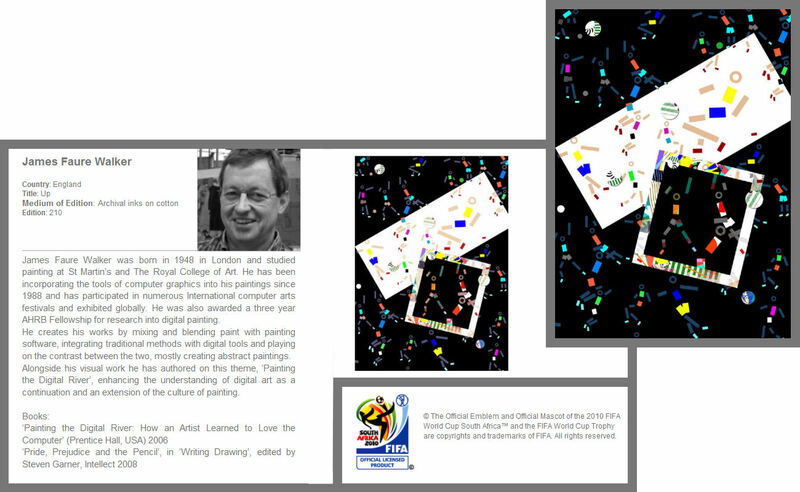 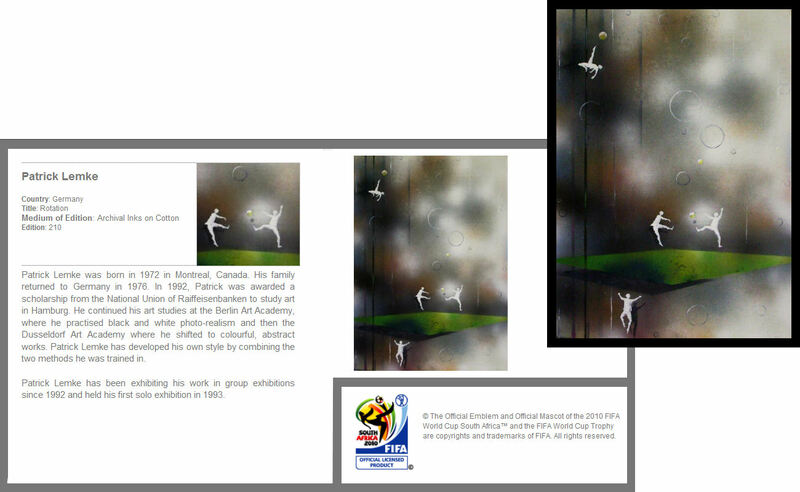 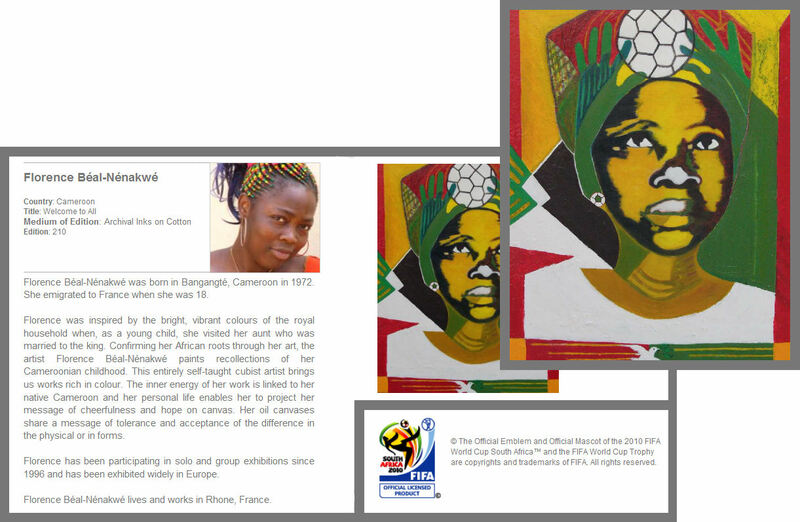 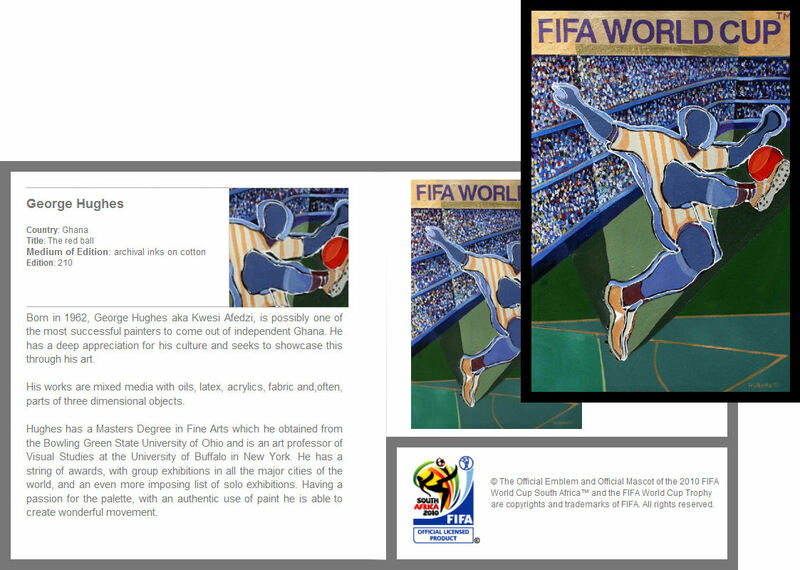 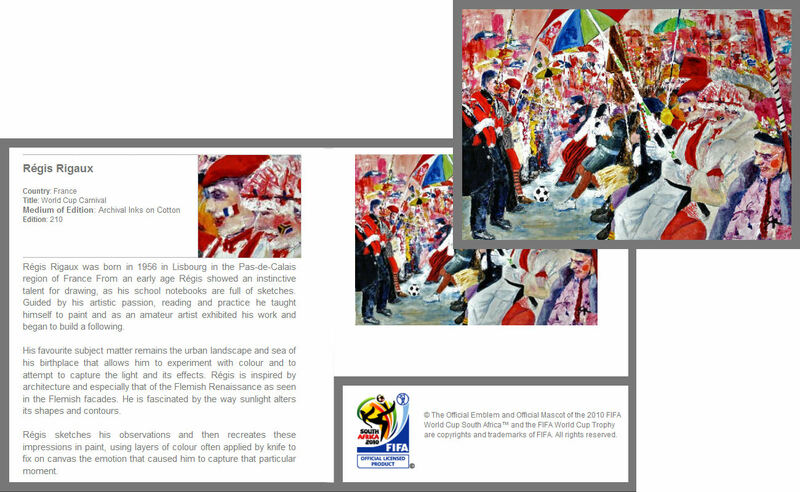 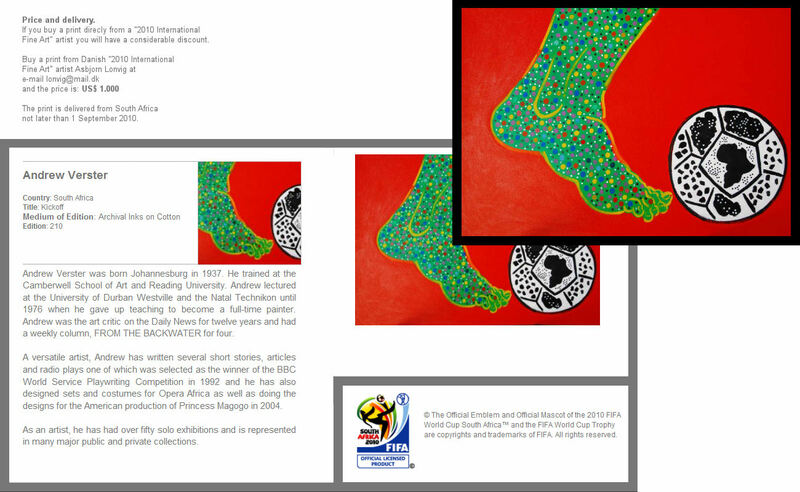 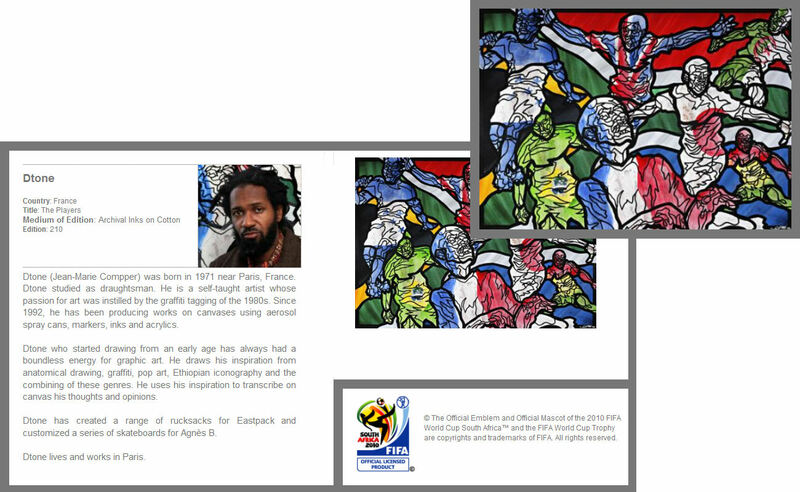 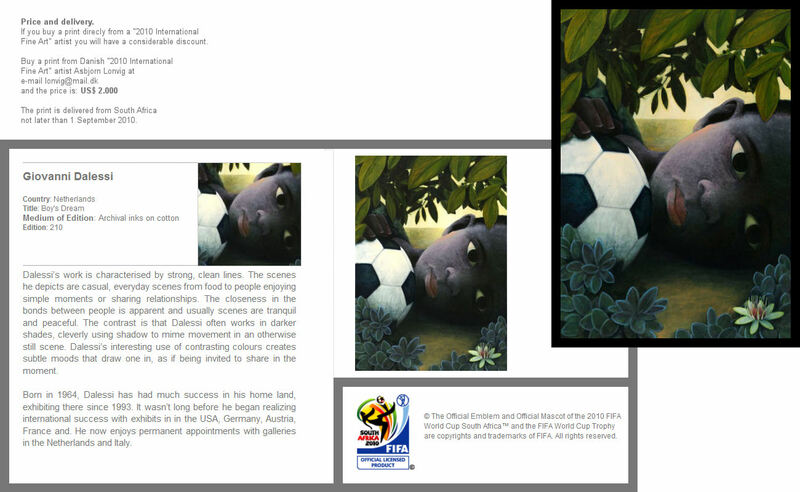 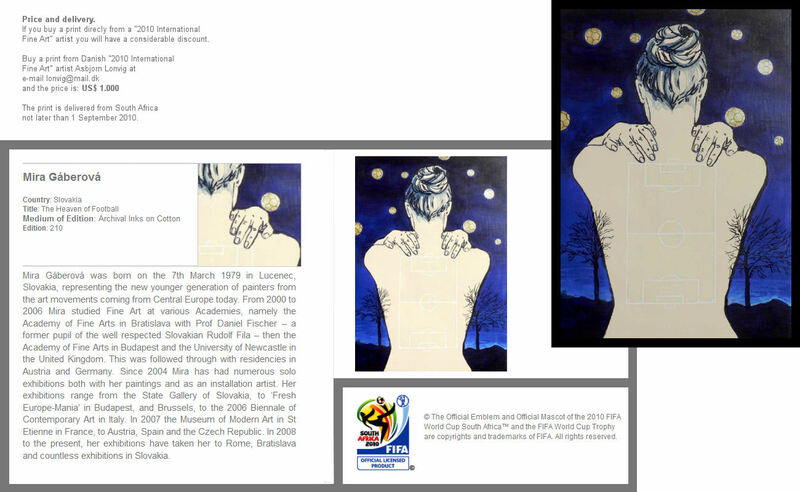 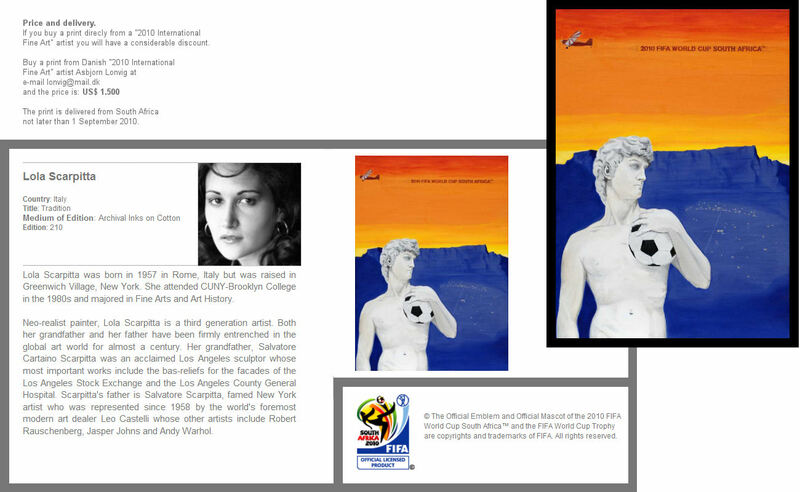 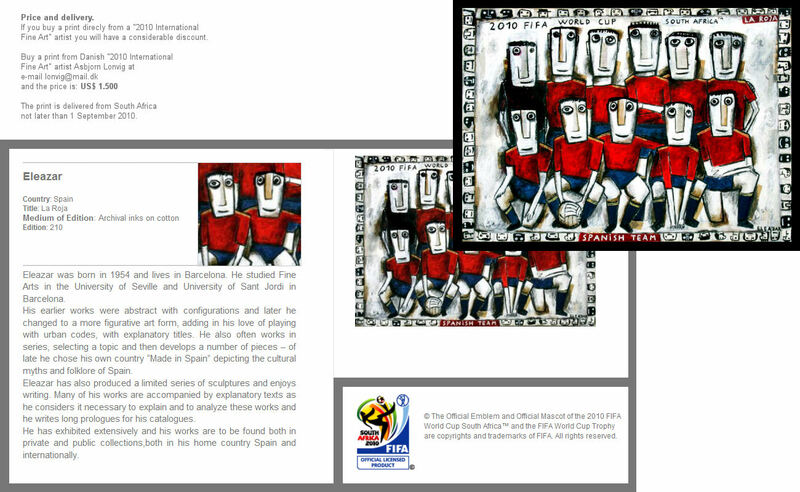 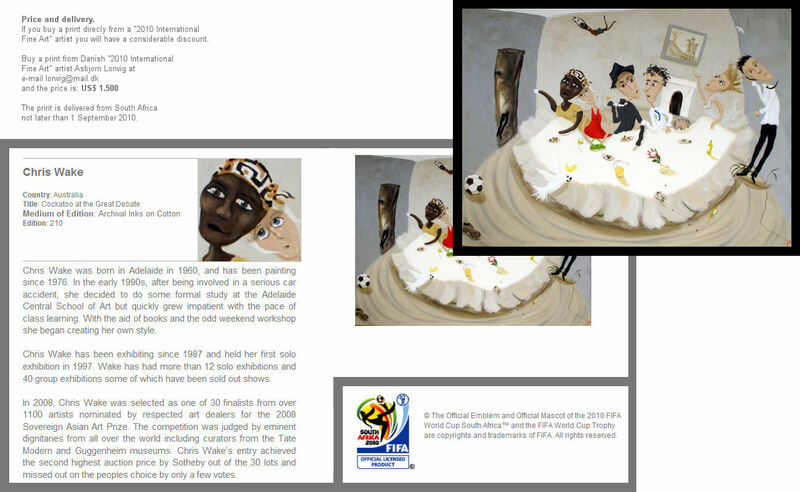 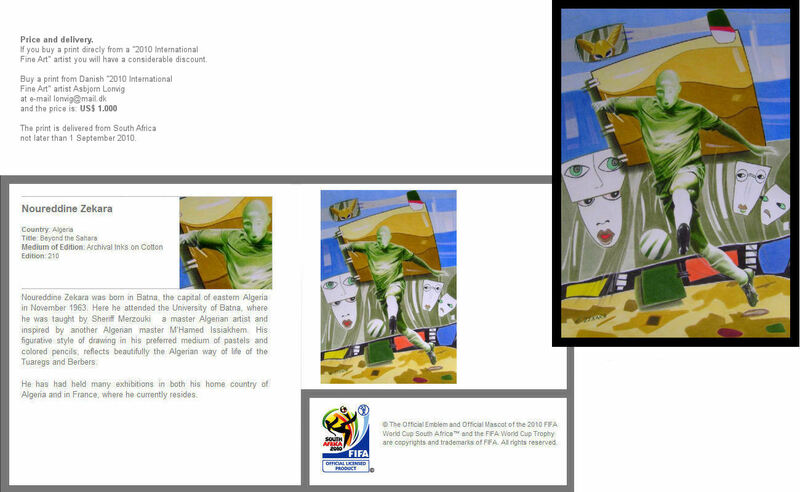 MMX Art alias 2010 International Fine Art is licensed to use the phrase “Official Licensed Products of the 2010 FIFA World Cup™” by FIFA. 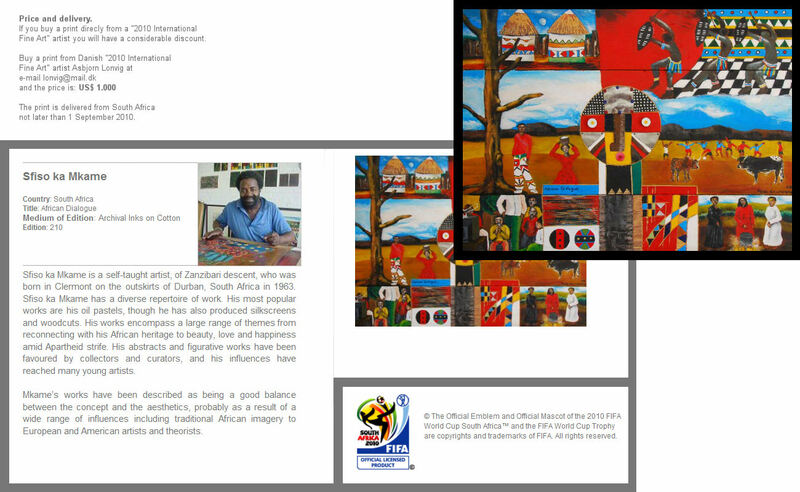 “The world is coming home to Africa, the cradle of humankind, the site where the story of our species started. 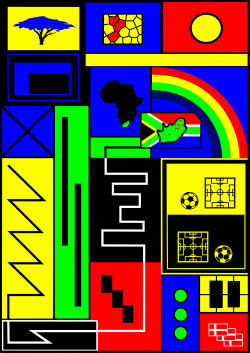 It is – in essence – the home of all humanity. 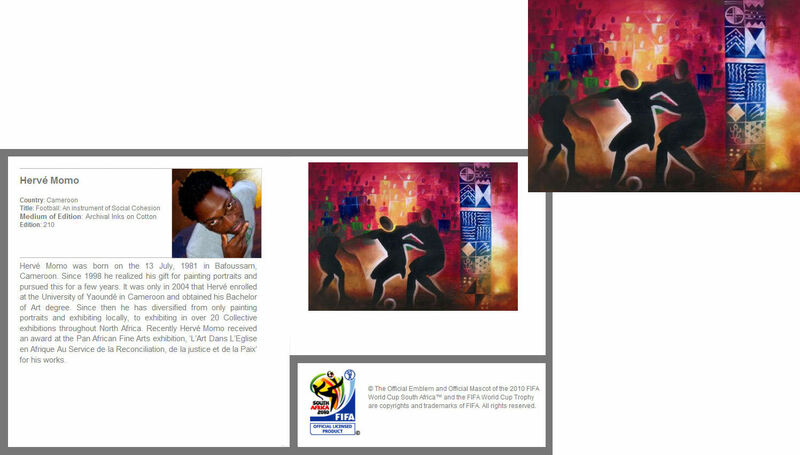 It is also the location for the greatest sporting event in the world – the 2010 FIFA World CupTM – the first time in its history that the tournament has been staged in Africa. 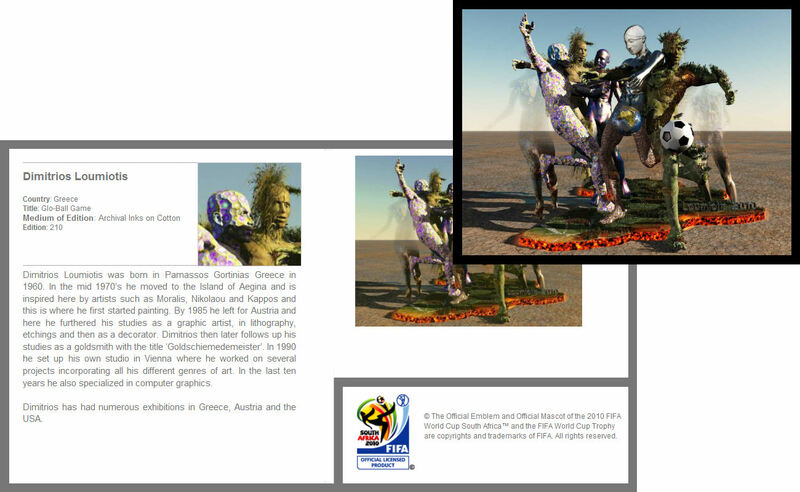 In “South African Joy” symbolized by a giraffe skin. 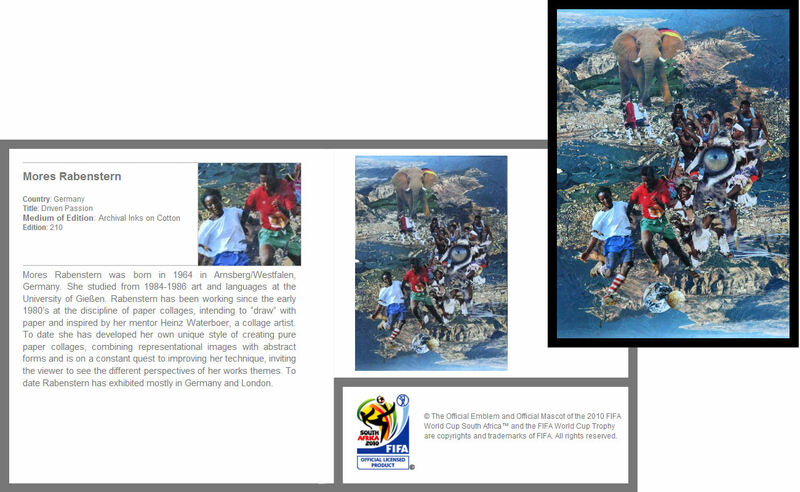 I know about an explorer that drew in his car down through the African continent from the Strait of Gibraltar to South Africa. 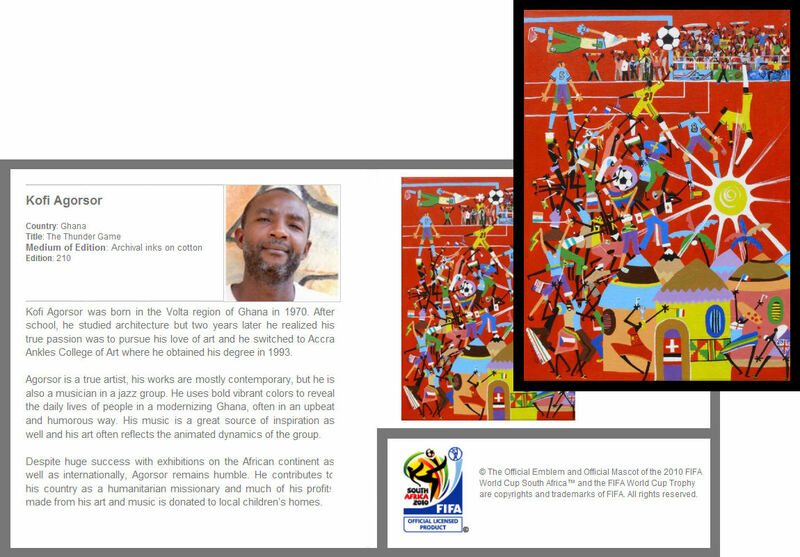 He told that everywhere kids were playing soccer.To accommodate all the soccer playing children the soccer field is a double field. 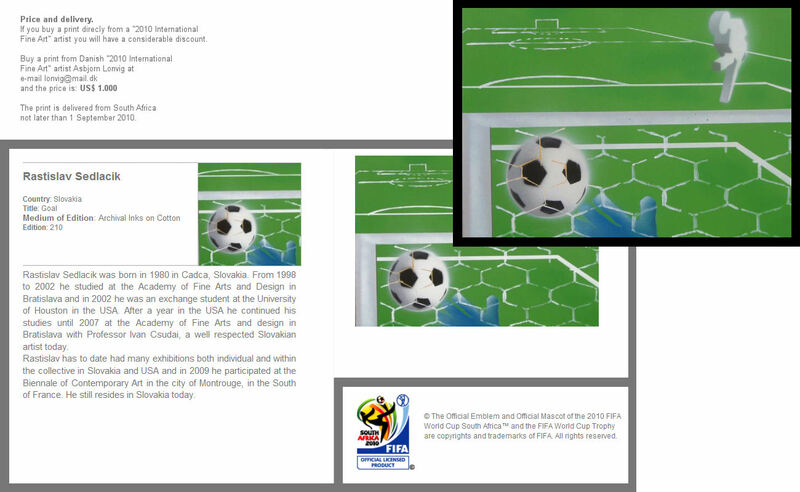 Double Soccer is the name of the game.There are 4 goals. 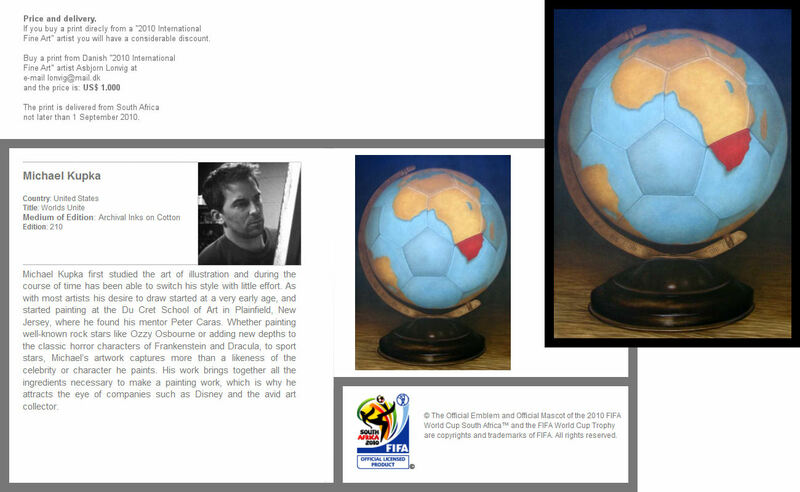 Two balls in different colors.I have established a Facebook group to form the exact rules. 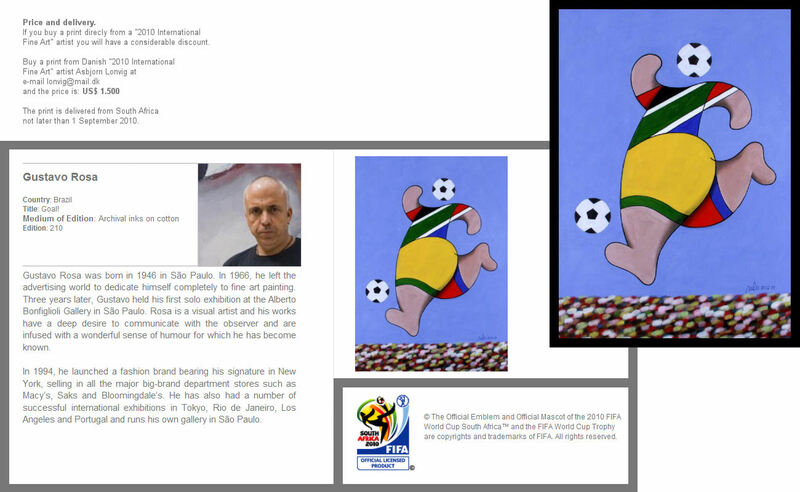 “Help making the Double Soccer rules: As a point of departure I have mentioned a few keywords to the Facebook group members: Fun, fast, exhausting, tactics, strategy, chess, exciting to look at, appealing to electronic medias”. 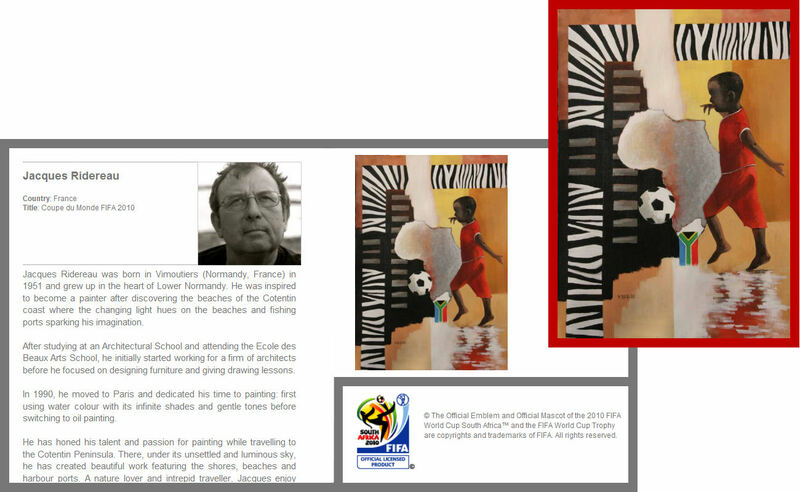 The imaginative kids of Africa will probably some day amuse themselves by playing double soccer. 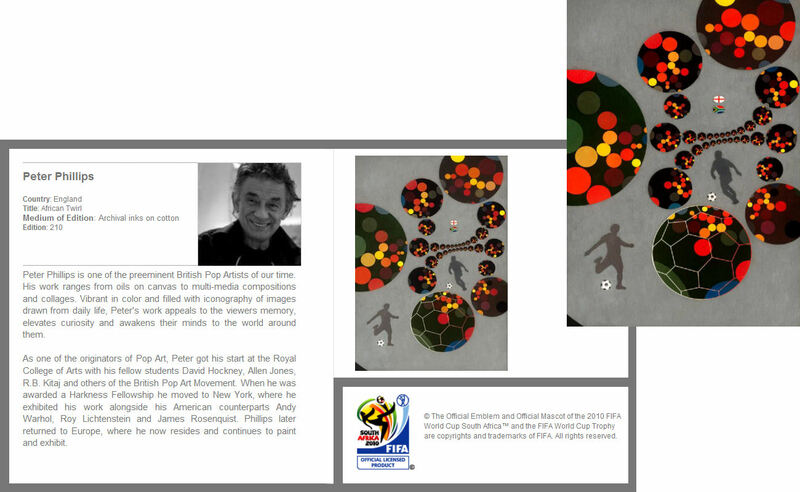 You may percept many different run patterns in “South African Joy” – run patterns of players’ movements as you will see them on the stadiums of South Africa. Zigzag, forth and back etc. 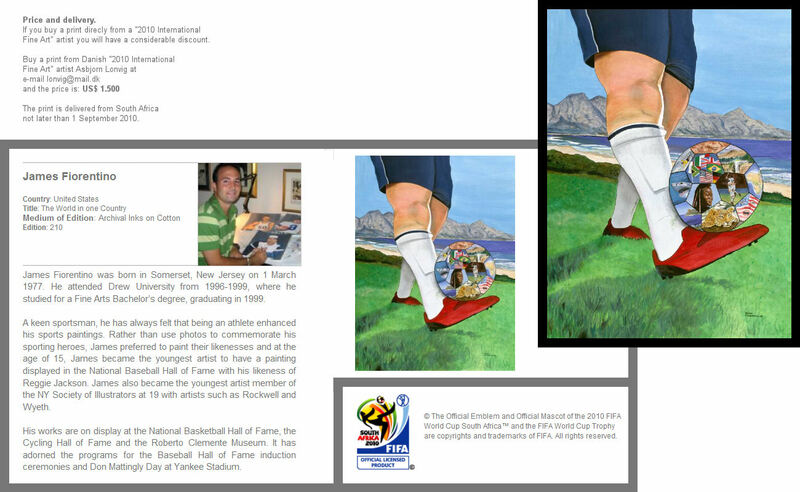 Stepping up the stairs – maybe reaching fame. 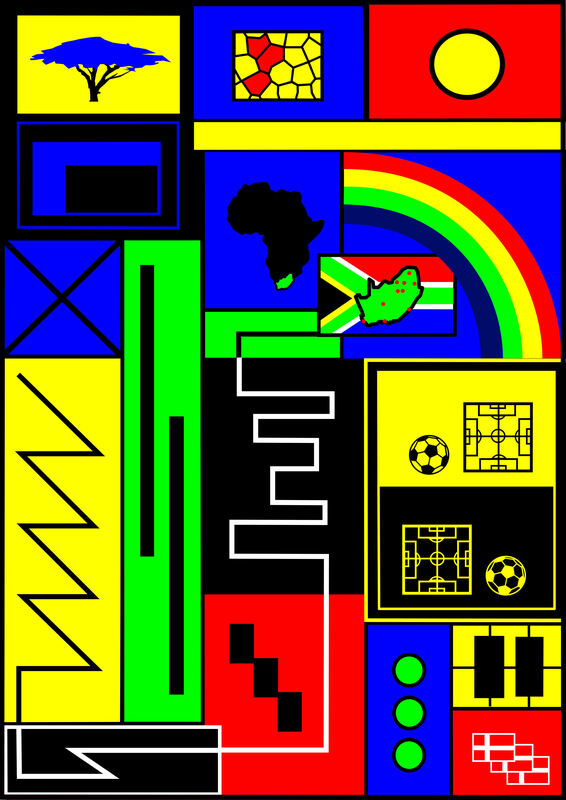 Some day an African nation might win the FIFA World Cup™. 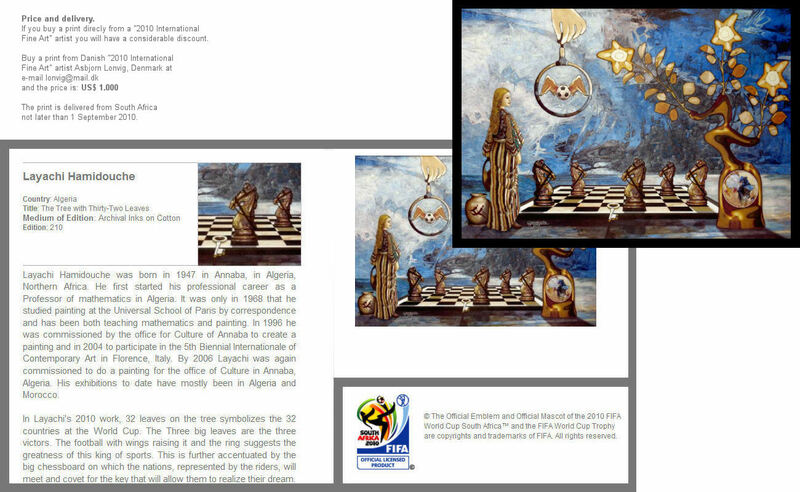 email addresses and full telephone numbers to lonvig@mail.dk so that the auctioneers - Graham's Fine Art Auctioneers - can contact you. 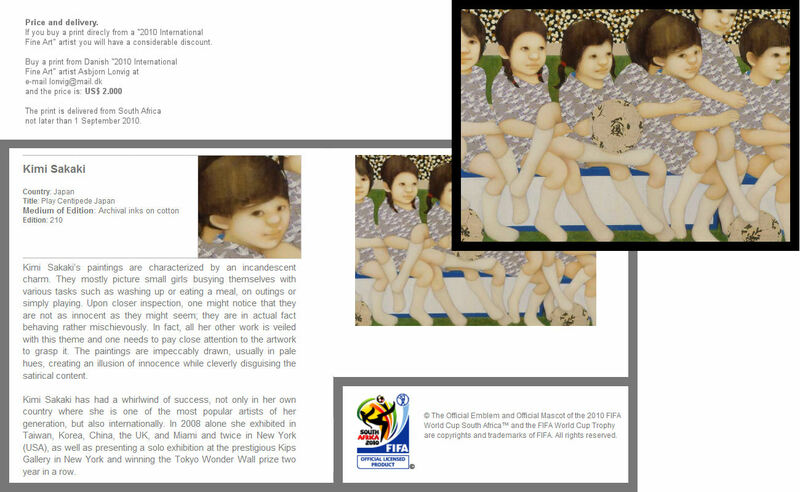 See the online auction catalogue. 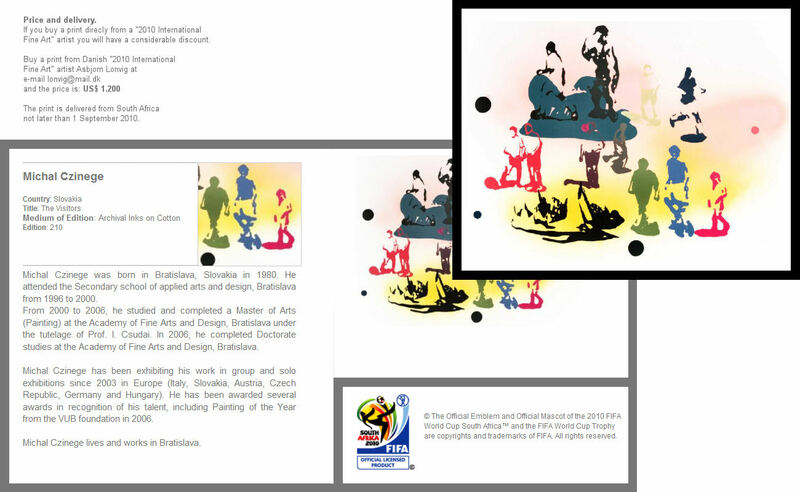 24 June - 4 July 2010, 9:00AM - 17:00PM. 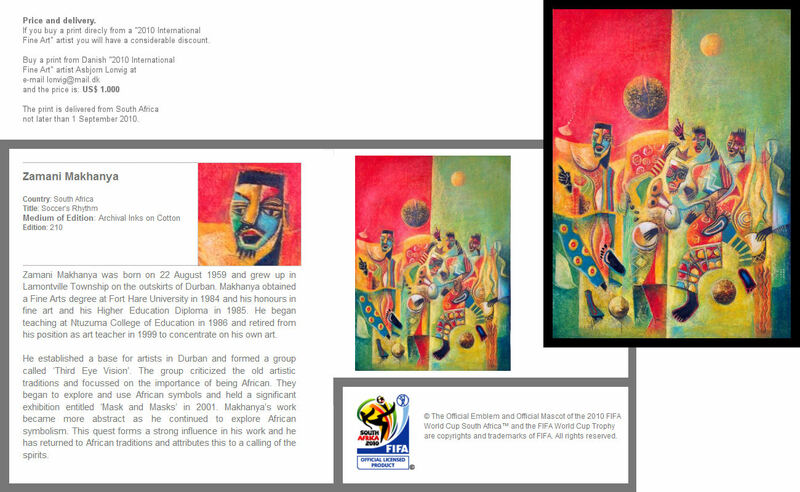 On 5 July 2010 at 2 PM the originals are auctioned in the address mentioned above.